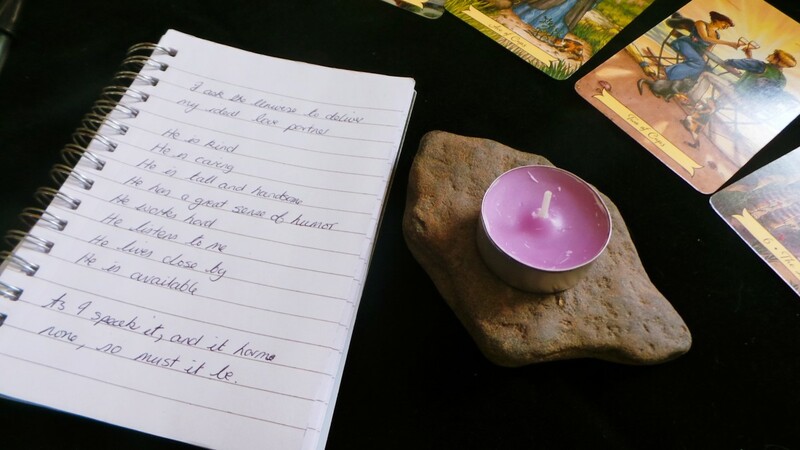 The best reason to keep a tarot journal is that it is a record of your journey into this most magical of systems. 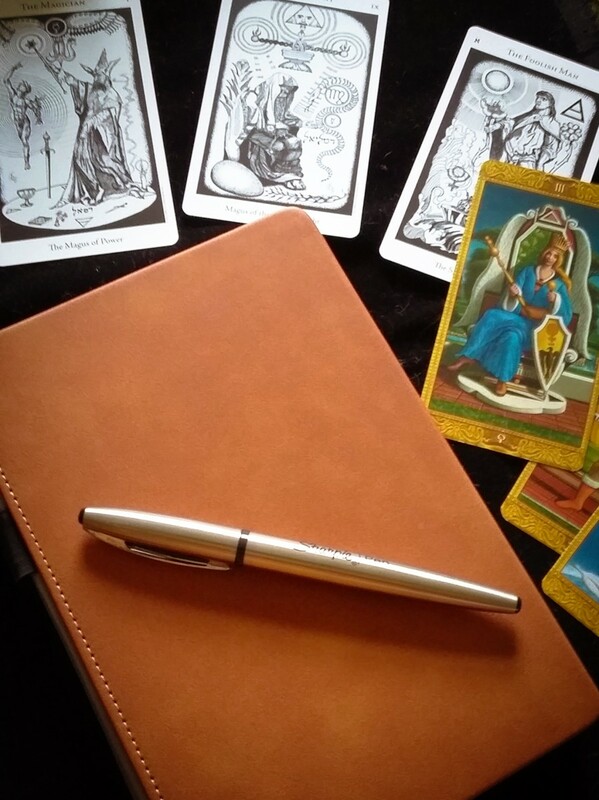 It will be your personal tarot bible that helps your readings become more accurate. 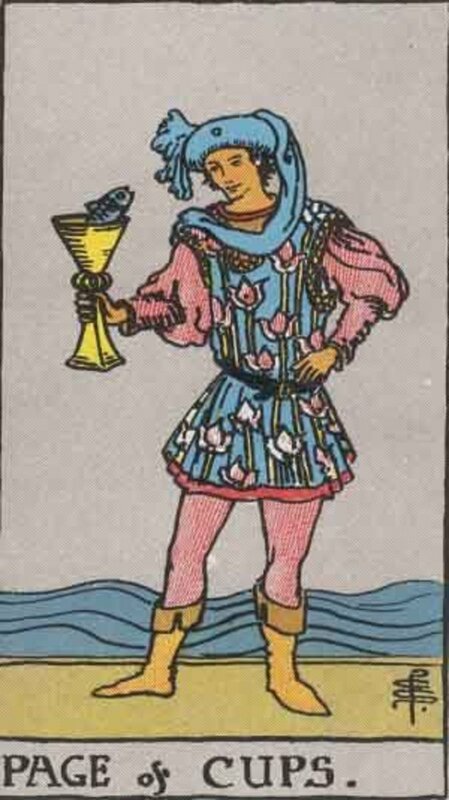 Cups or drinking vessels of any sort signify water or emotions in any tarot deck. Cups are the suit that bring emotions to the fore, either in love affaris, or family affairs. Be careful not to get carried away and use your sense of logic in any reading with many cups! 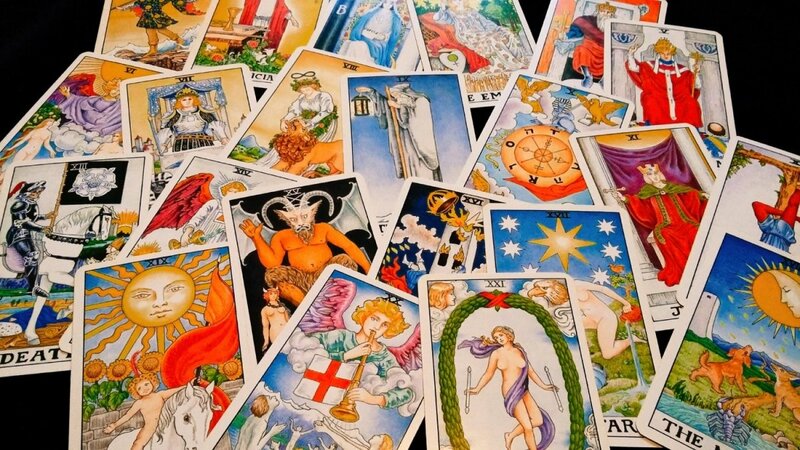 Master tarot card combinations and give the best psychic readings of your career! 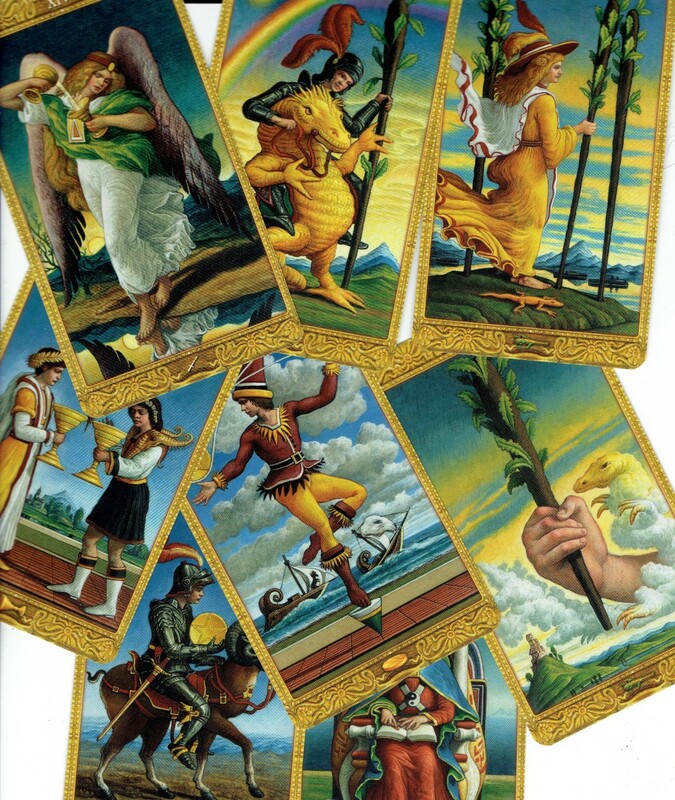 Tarot combination mastery is the best way to offer complete interpretations of the cards. 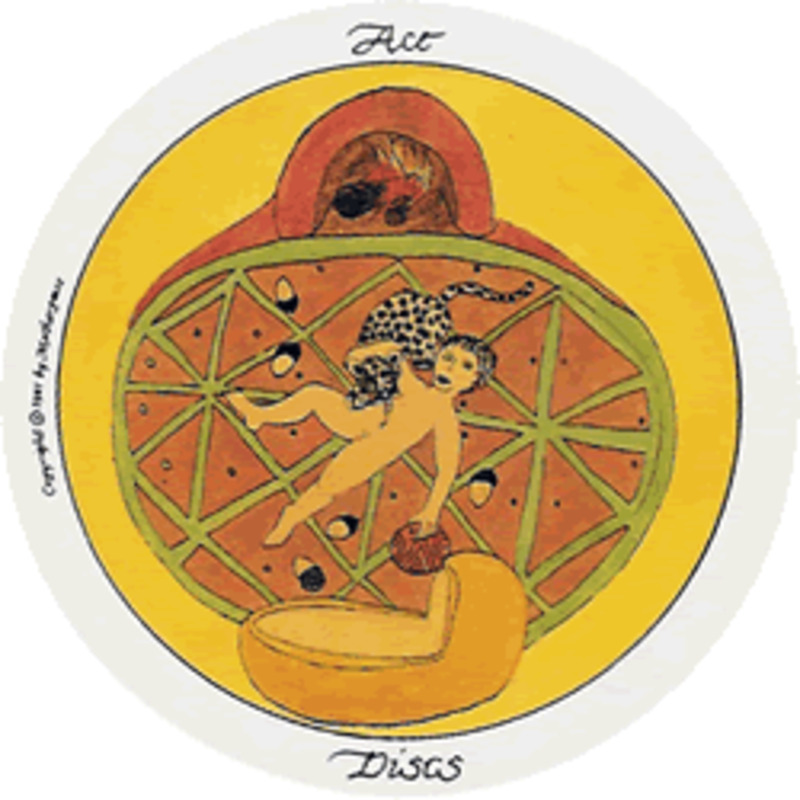 The fecund Queen of Pentacles is a resourceful and strong woman. 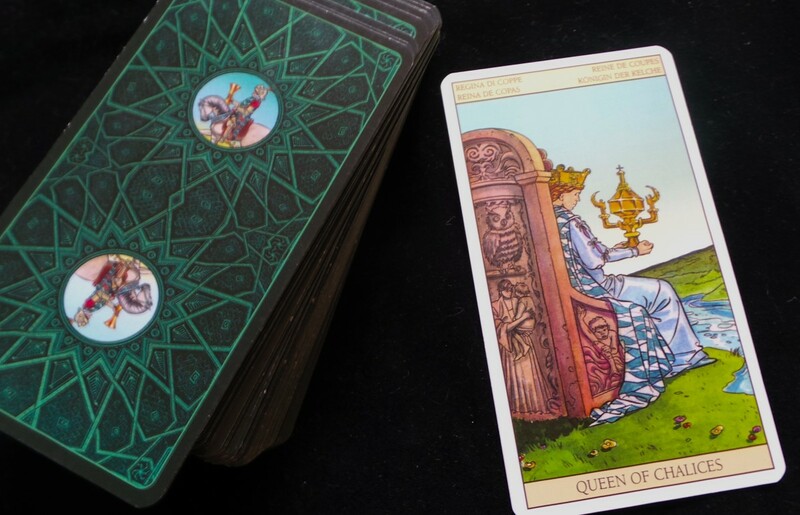 The underrated one-card tarot reading will give you more than enough information—if you know how to persuade it to reveal its secrets. 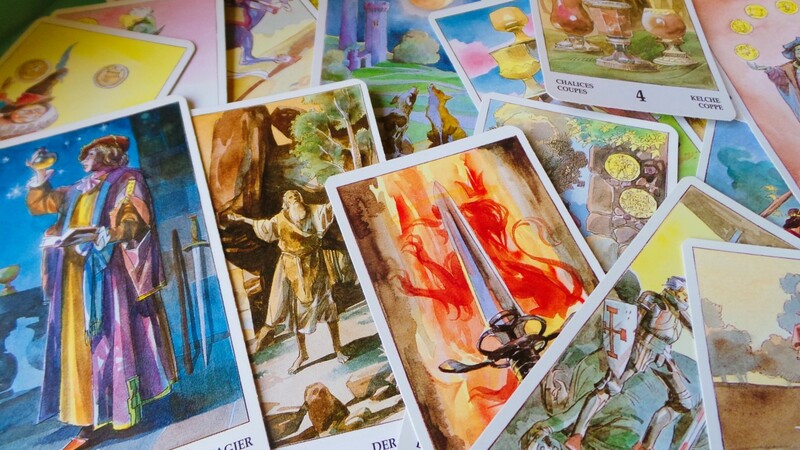 Do you think tarot cards are evil or fake? 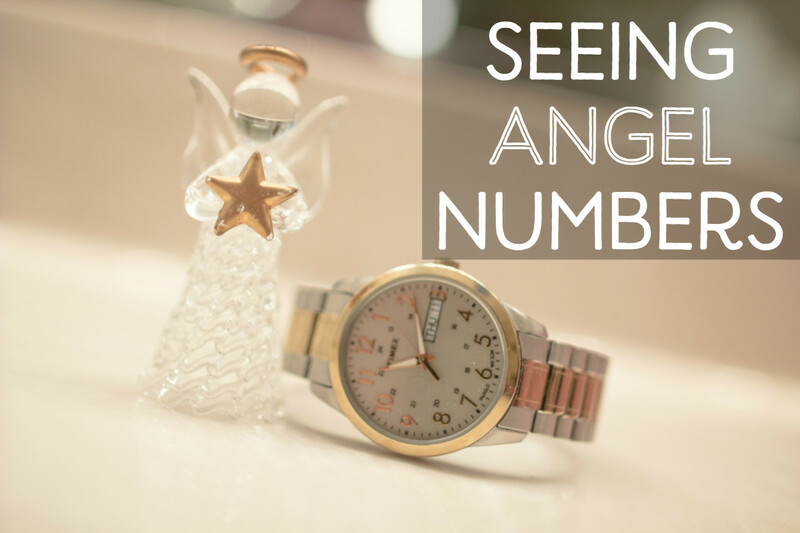 Read on for a deeper understanding of what can be a very helpful tool for your intuition. 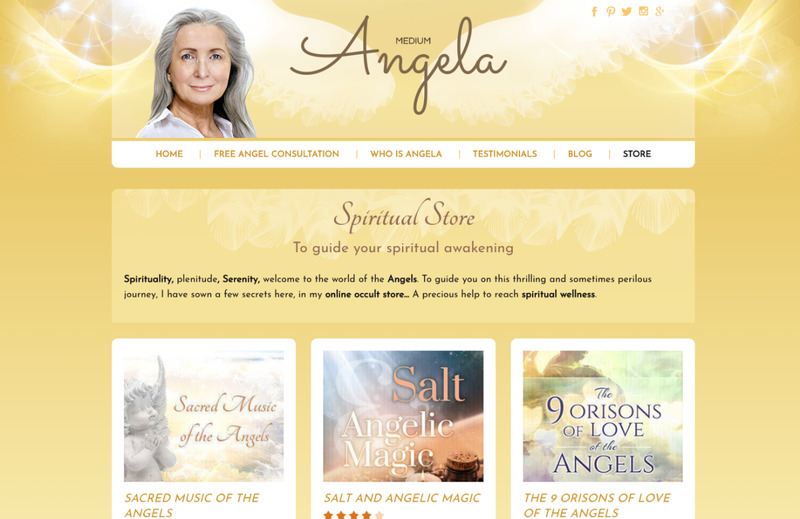 Angela Angel Medium of guardian-angel-messenger.com, based in Hong Kong, promises you can meet and milk your guardian angel for money and luck. 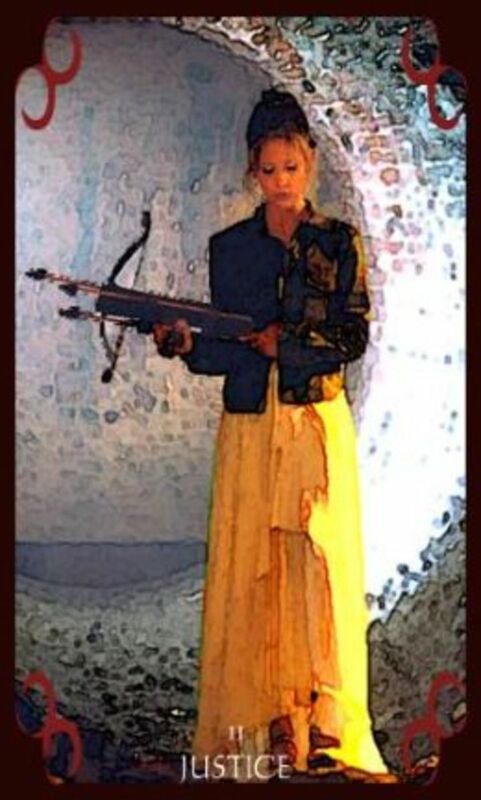 Celeste Angelic Medium of my-angel-reading.com will meet and milk your angel for you and tell you your future. How legit are they? 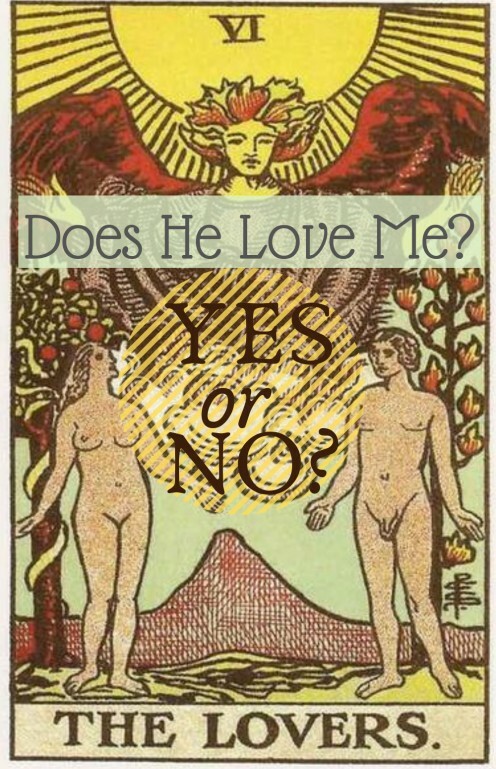 When you want to know right now: quick cheat sheet of playing card tarot yes/no/maybe answers. 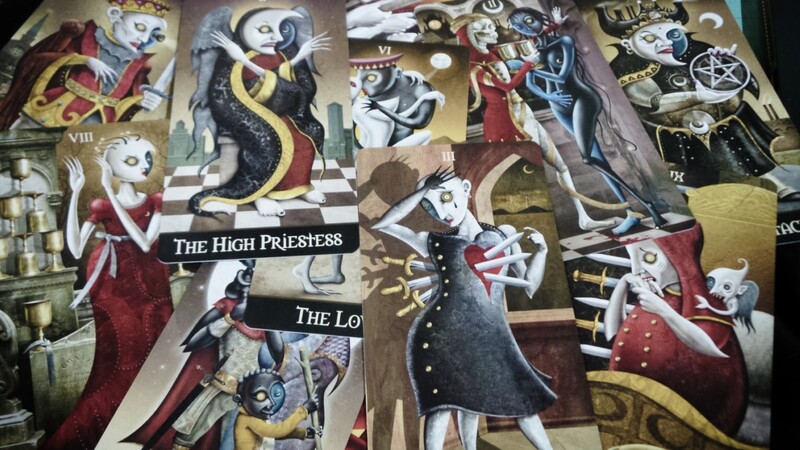 Court Cards in any tarot deck are Archetypes. 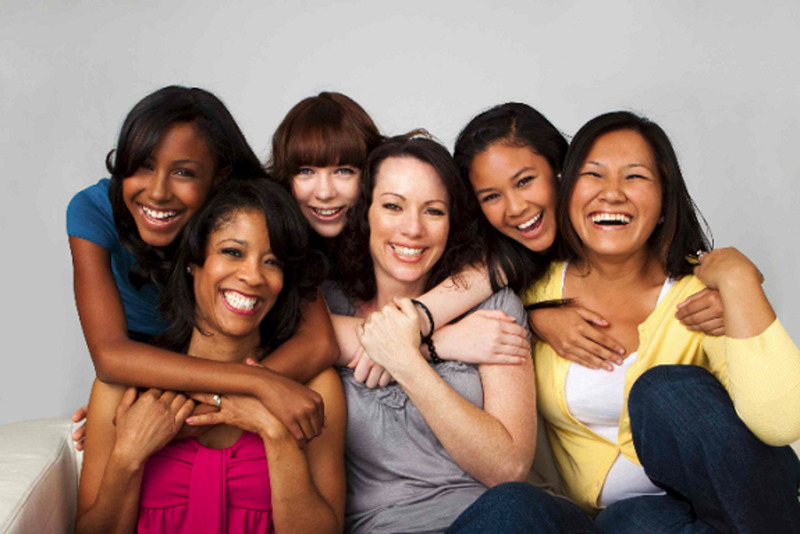 It can help to associate each one with a person you know in the beginning. 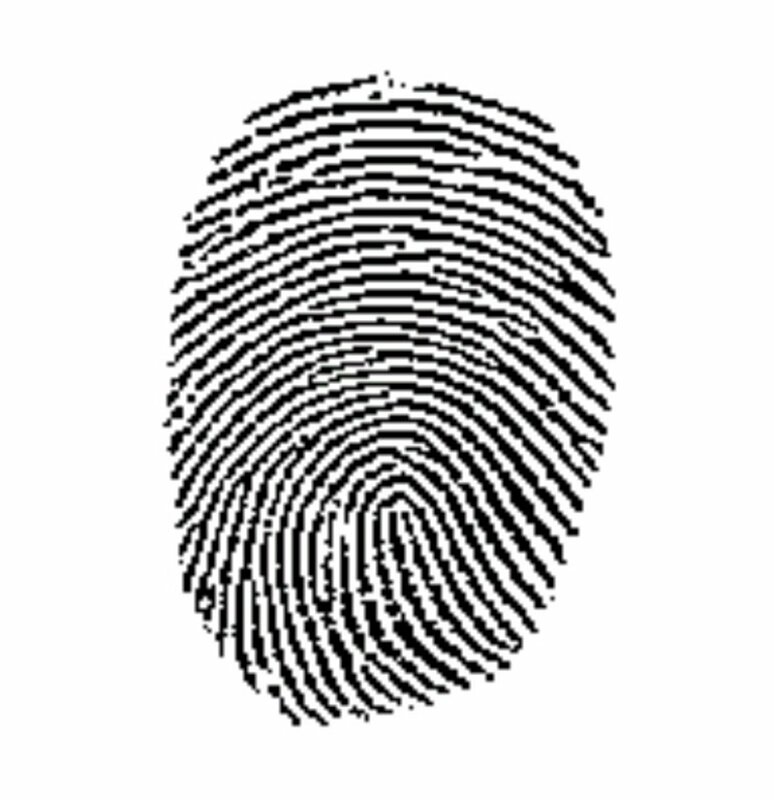 We can be more than one Court Card at any given time! Meet the royal families of the tarot cards. They're just like us - really! 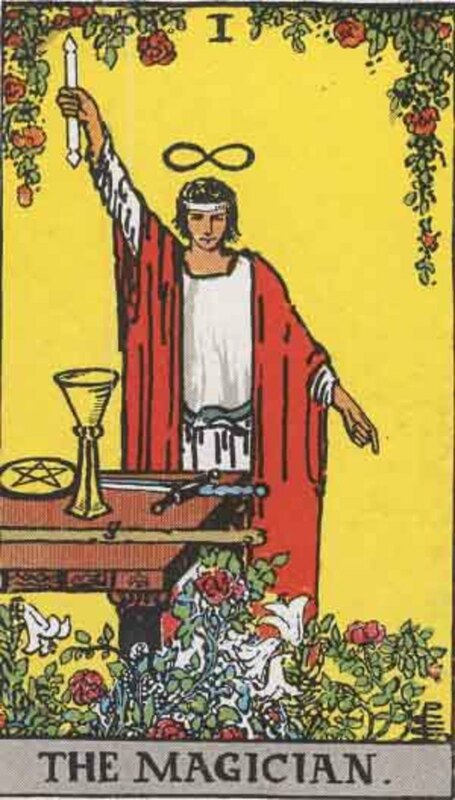 When you are doing a tarot reading and the LWB (Little White Book) is nowhere in sight. Here's a list of the common meanings for the Rider-Waite and its many clones. 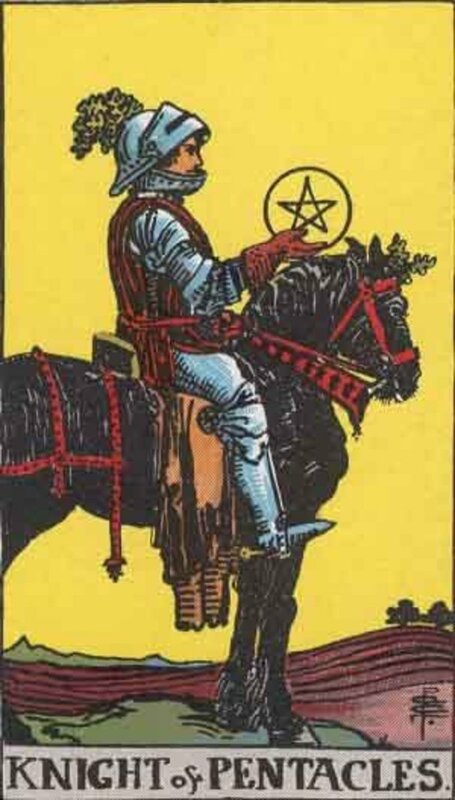 The Knight of Pentacles may appear staid, but he has intriguing hidden depths. You arrived here by accident...or did you? Maybe you have a question about your relationship? 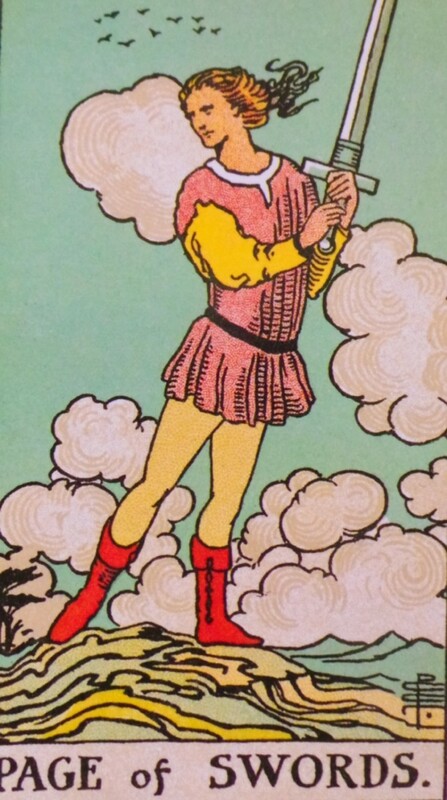 The love tarotscope could have the answer. 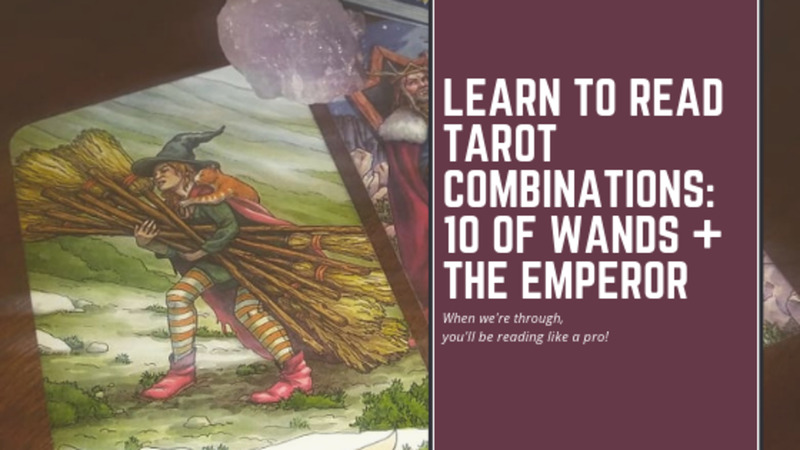 If you want some help on making your own tarot cards, I share some of my tips on creating your own tarot deck here and show you some images from my own Major Arcana tarot. 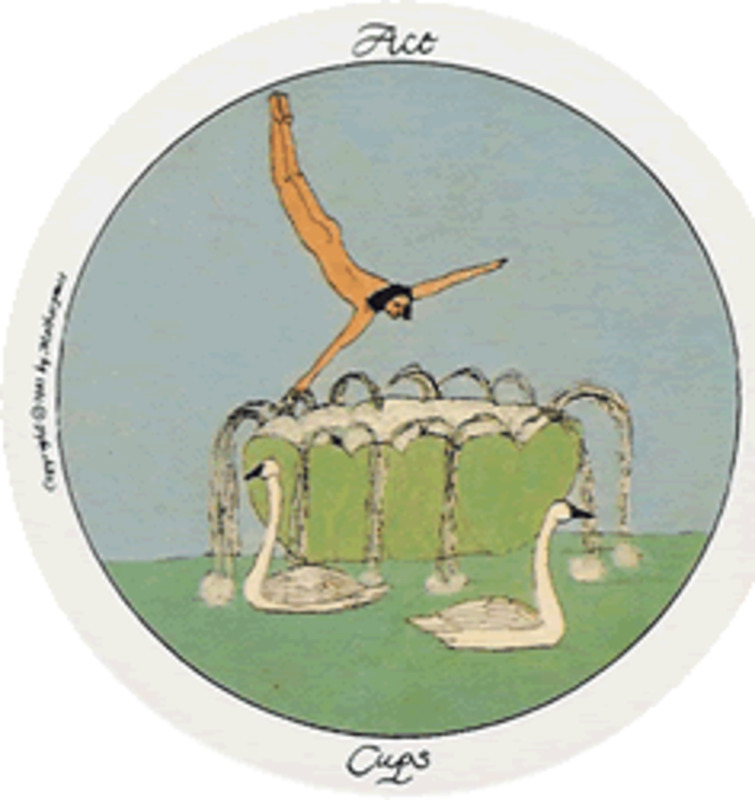 Meet the serene and empathic Queen of Cups. 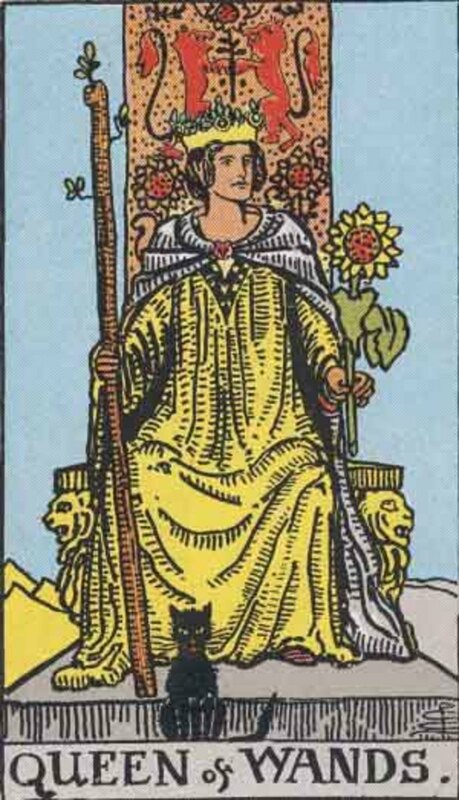 Delve into the extrovert character of the Queen of Wands. 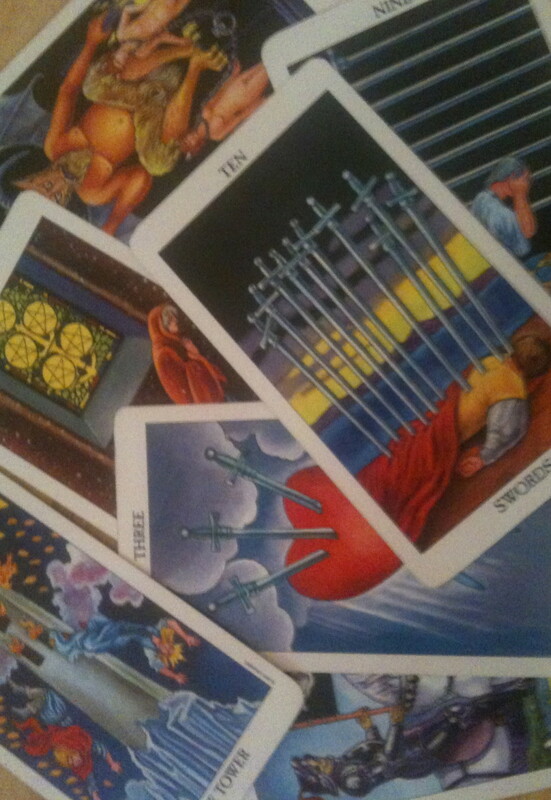 Improve your relationship and even attract a new one with tarot cards! 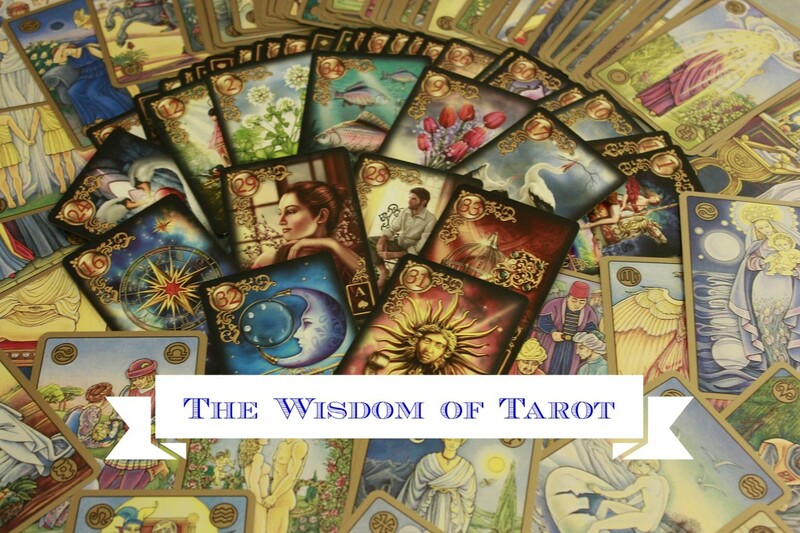 The tarot deck is a mecca for symbol lovers. 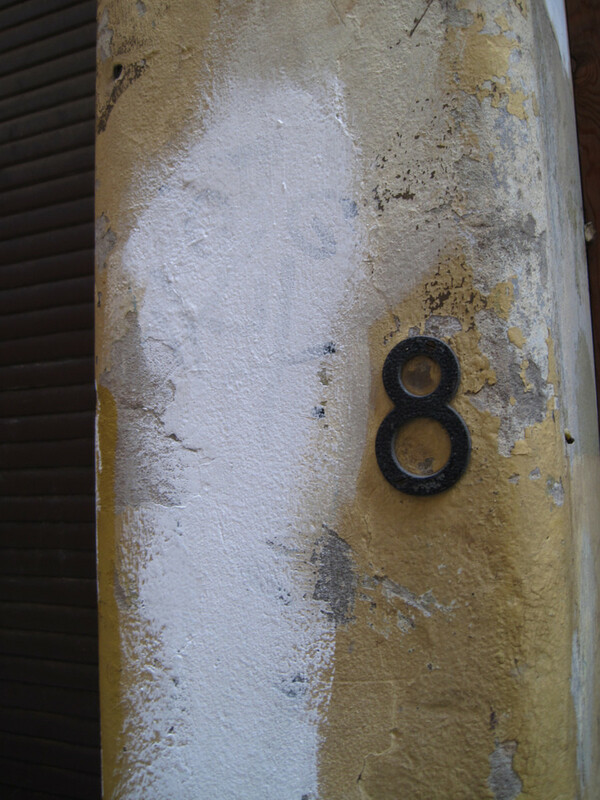 However, some of the pictures can be starkly disturbing, especially to those who are unfamiliar with the language of the symbols and their true meanings. 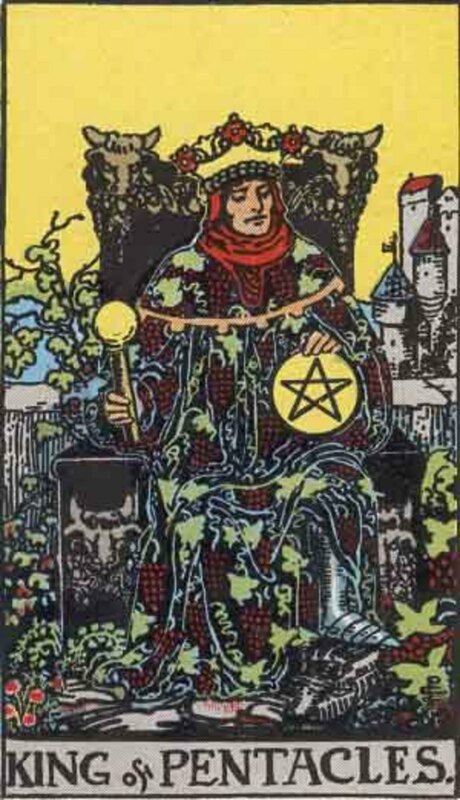 The King of Pentacles is down-to-earth, easy-going and very wealthy! 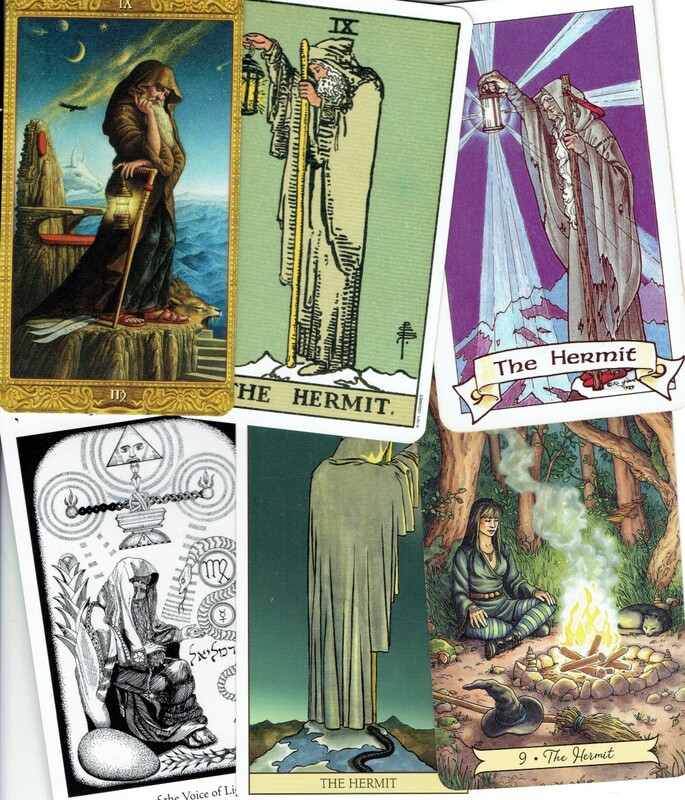 The tarot Hermit is mysterious and sometimes confounding. Delve into its secrets and embrace your inner hermit. 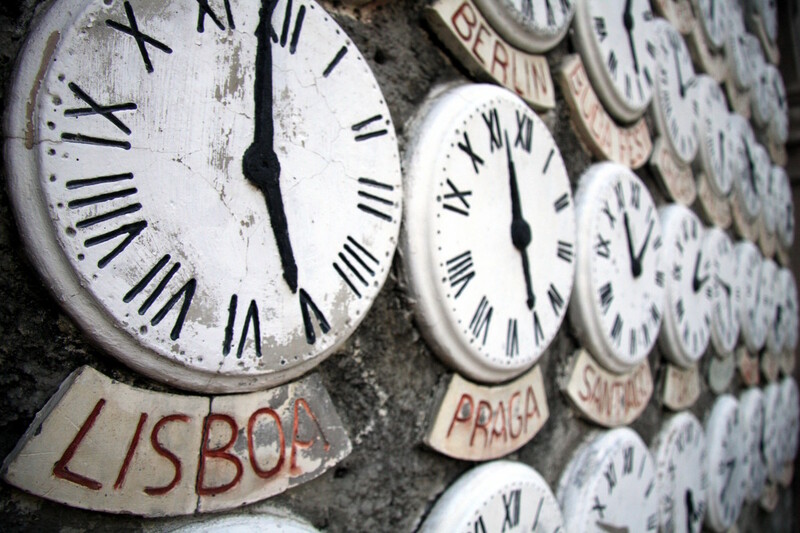 Need to make a fast decision regarding a love situation? Looking for guidance? 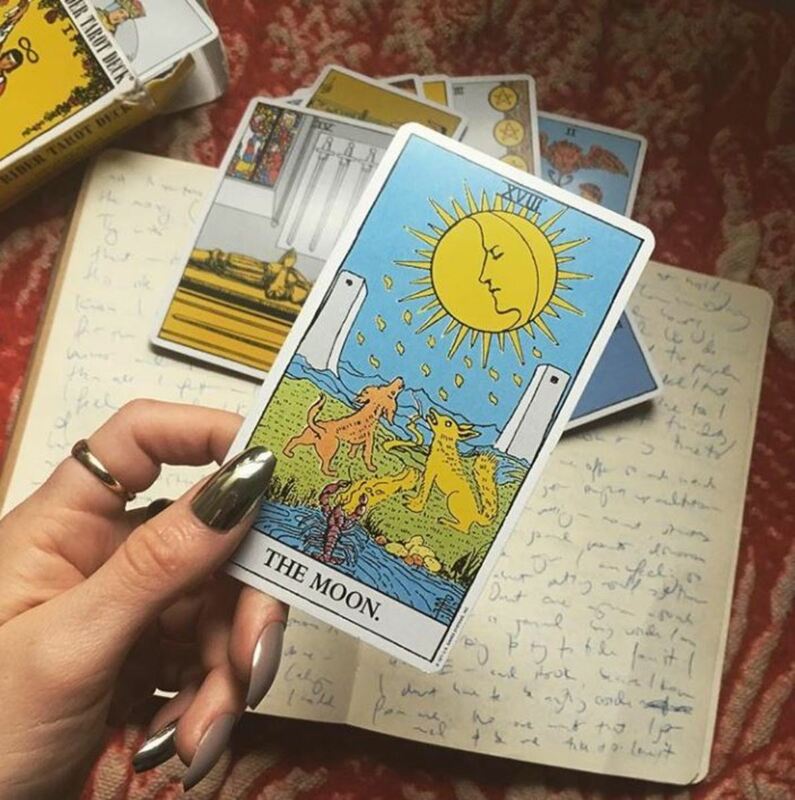 Look no further—tarot can give you the simple yes/no answer you need, even if you aren't a tarot expert. The mysterious and mystical Hanged Man card can be disturbing. It also holds a very useful message—hang round for awhile and I'll explain. 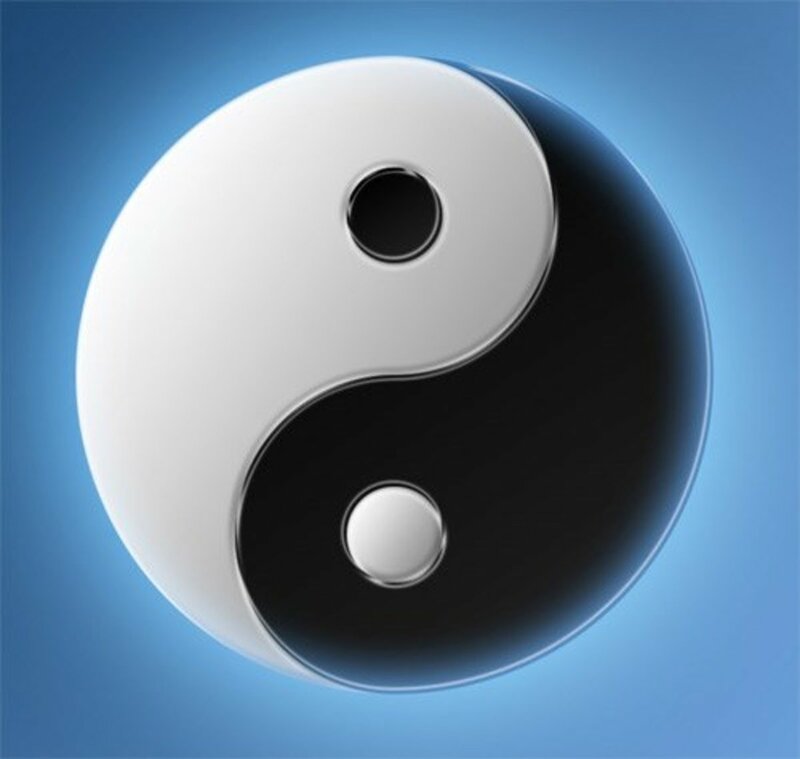 . .
Use a simple, basic ritual to work some magic and improve your life. 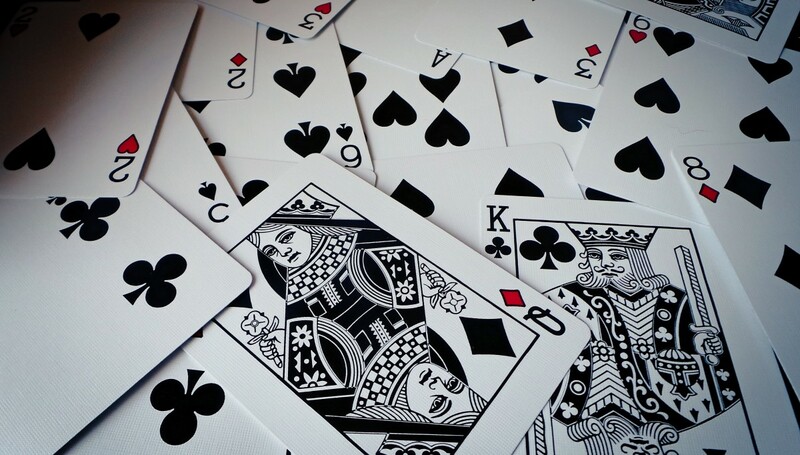 All you need is a deck of cards and focused intention. Are you a true believer or a skeptic? Regardless, everyone agrees there are a great many psychic con artists. 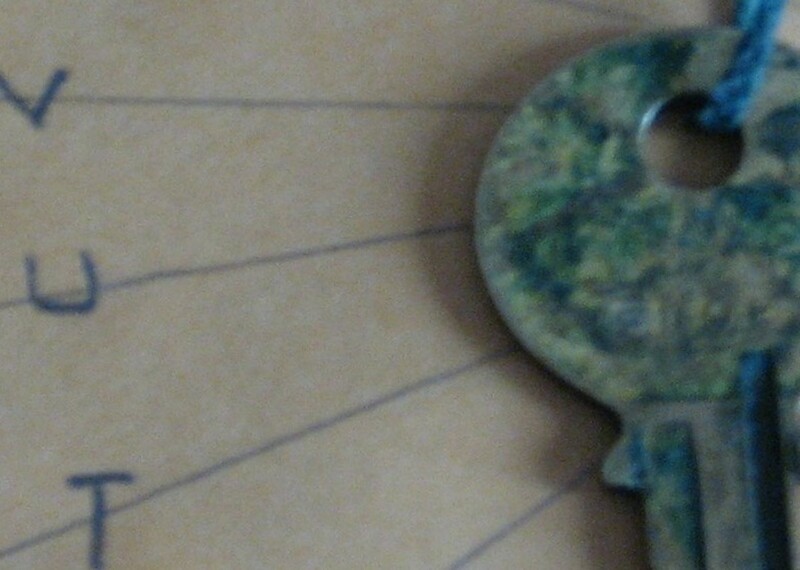 A sometimes funny, sometimes tragic look at psychic scammers and their bag of tricks. Hold on to your wallets for a wild ride into the ether! 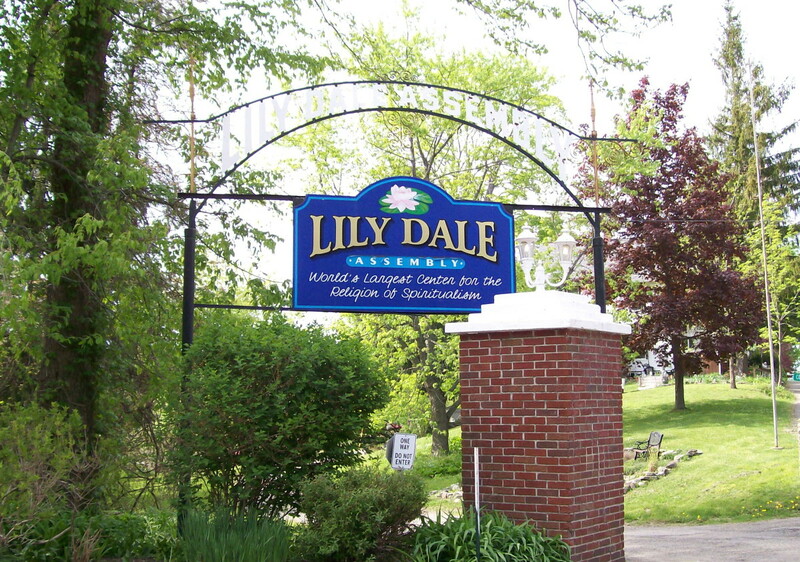 Have you ever wondered what it would be like to get a reading from a professional psychic or medium? I have, and I was lucky enough to find out. 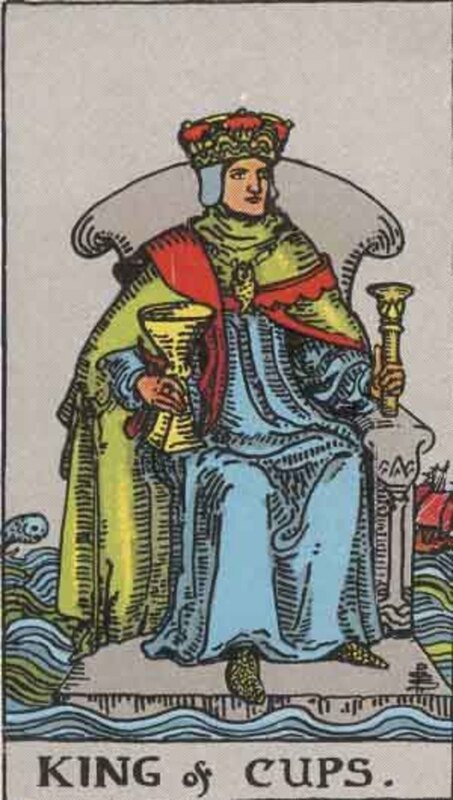 How well do you know the King of Cups? An in-depth look at the caring King. 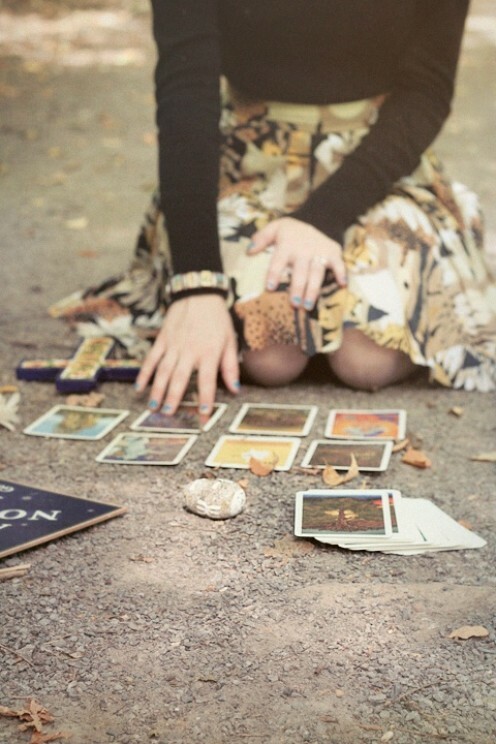 You feel you are ready to delve into tarot, but first you need a deck of cards. How do you decide which will suit you best? 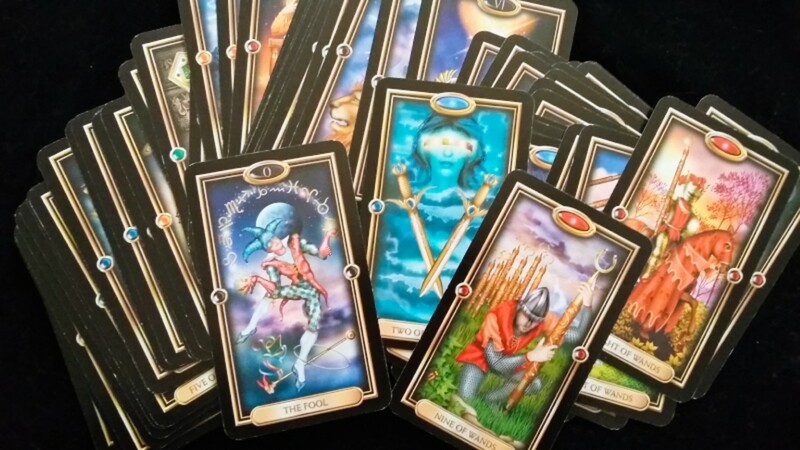 When a Tarot reader is able to tell you, a perfect stranger, what is happening in your life, it seems reasonable to think that Tarot readers are "psychics" and "Tarot is psychic." But that isn't true. By astrologer and Tarot practitioner Sylvia Sky. 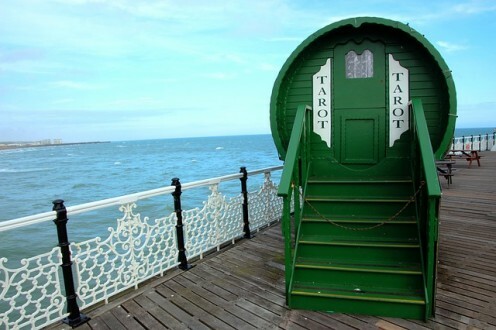 Did you ever have a bad experience with a tarot card reader or astrologer? I had three of them in two weeks, and I am a practitioner of both! 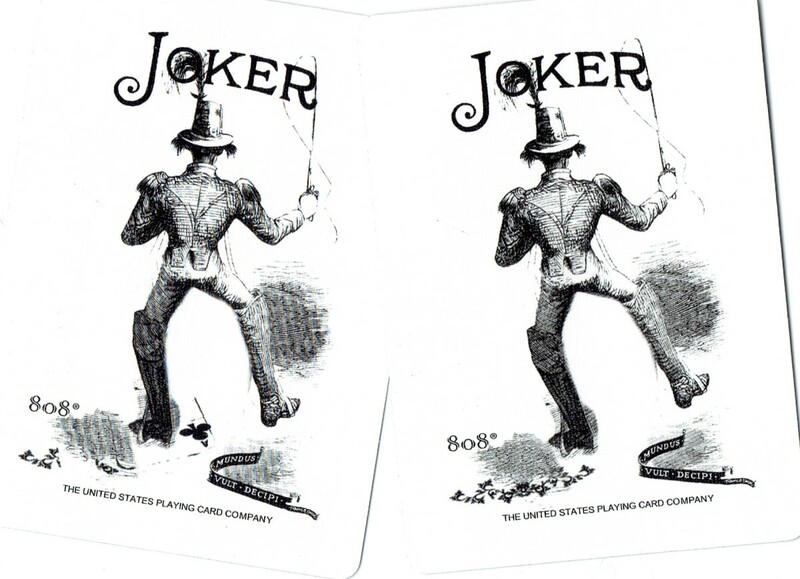 Get the answers you seek from a deck of playing cards. 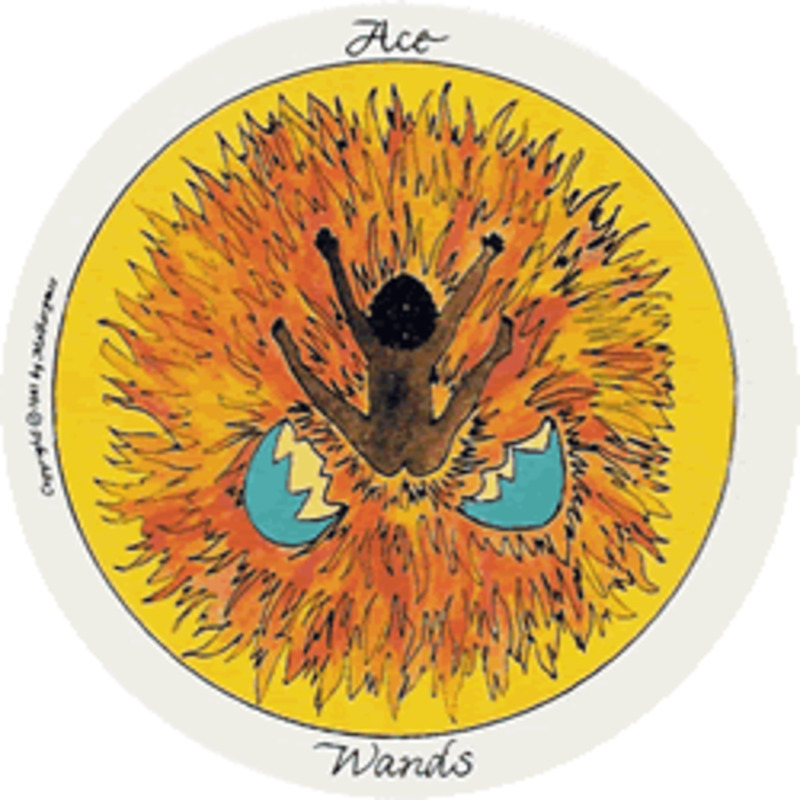 Drawing one card can give you clarity and knowledge about your romantic situation. 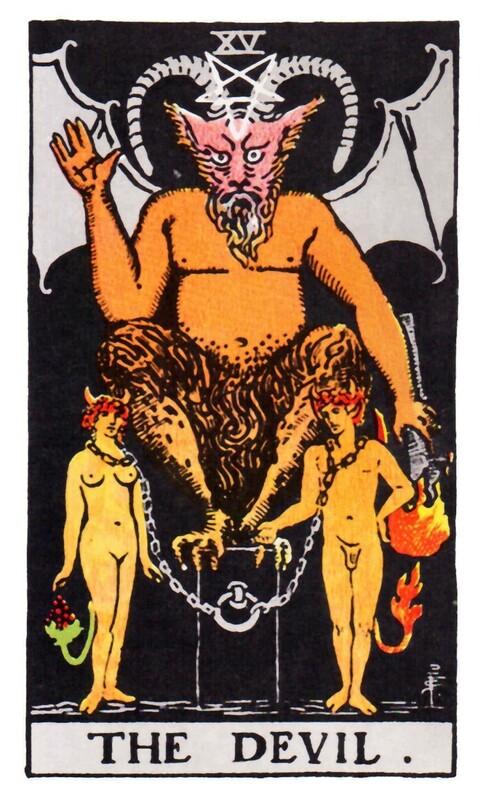 Some images in the Tarot can be "scary" to those unacquainted with the cards. This is a brief discussion of five of the more common "scary" cards. 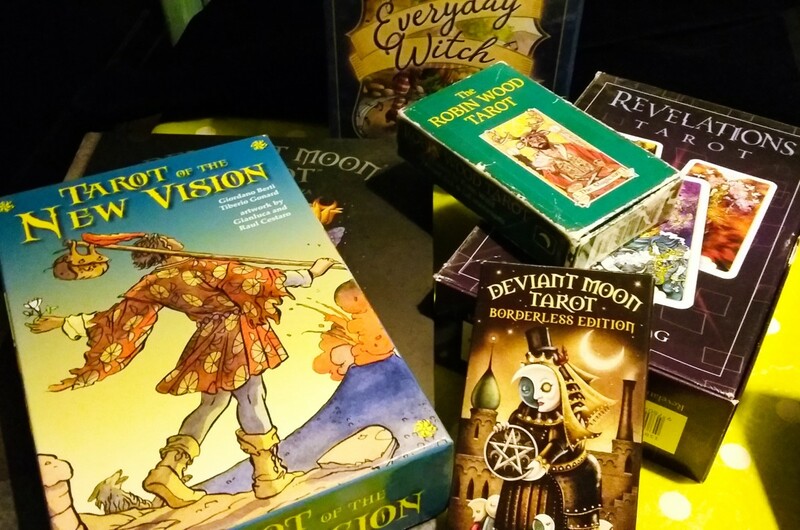 My top five tarot decks out of more than fifty. Find out why I love these the best. 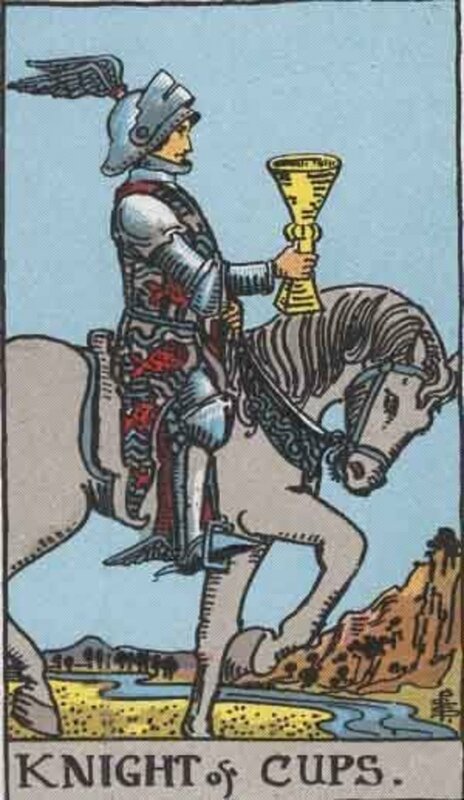 Come say hello to Mr Romantic, the Knight of Cups. 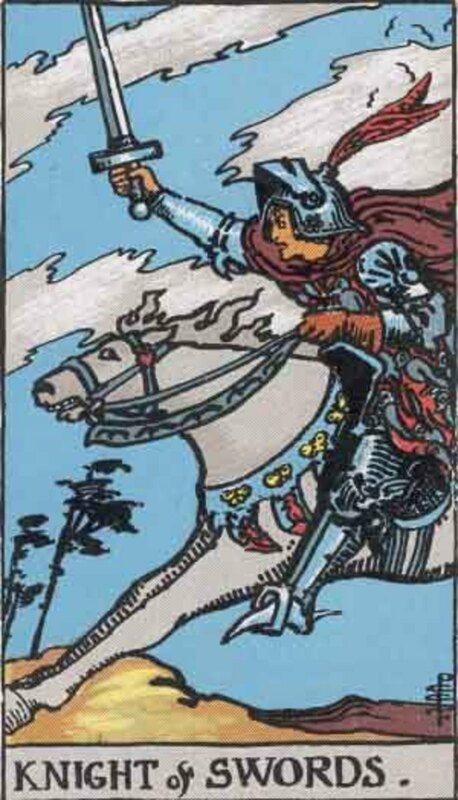 This article concludes the essay on the Motherpeace Major Arcana cards. 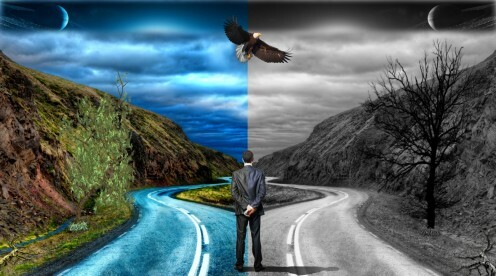 The person has already traveled past some of the harder tests in the second part of the Fool's Journey through life. I have had a lifelong interest in paranormal phenomena and have experimented with various methods of communication, usually involving movement. 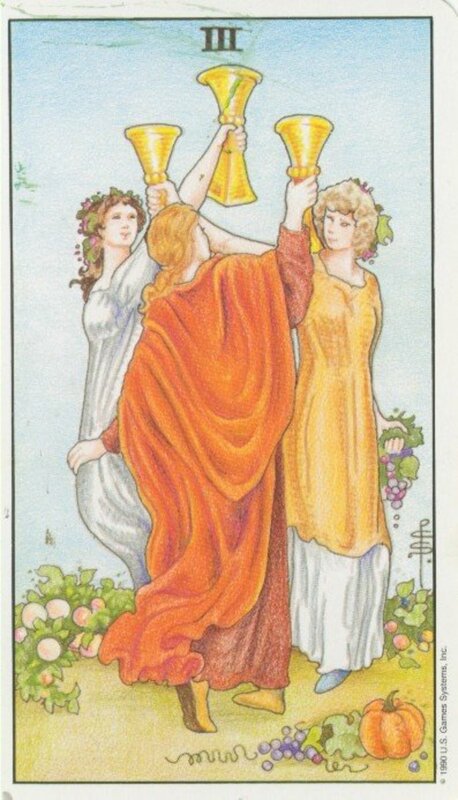 I have used the pendulum as a medium of communication and found that, with practice and perseverance, I have been able to gather fascinating insights. 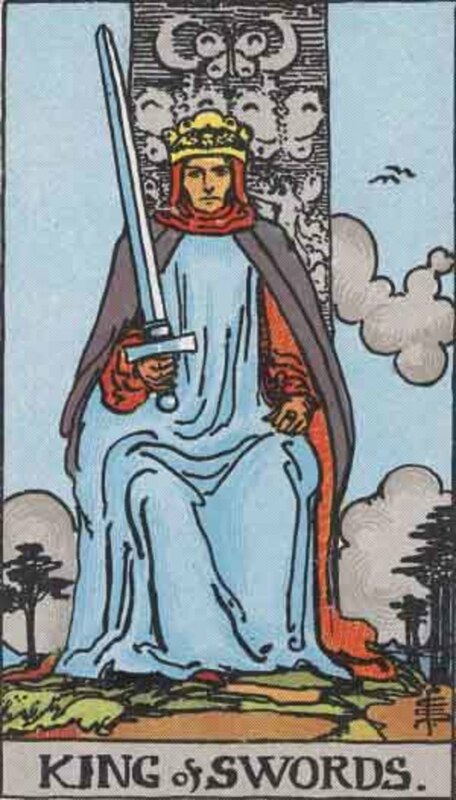 The first 21 cards of any tarot deck are called The Major Arcana. They are all Soul lessons you need to learn. Some call it The Fool's Journey. You may need more than one life to experience it all. 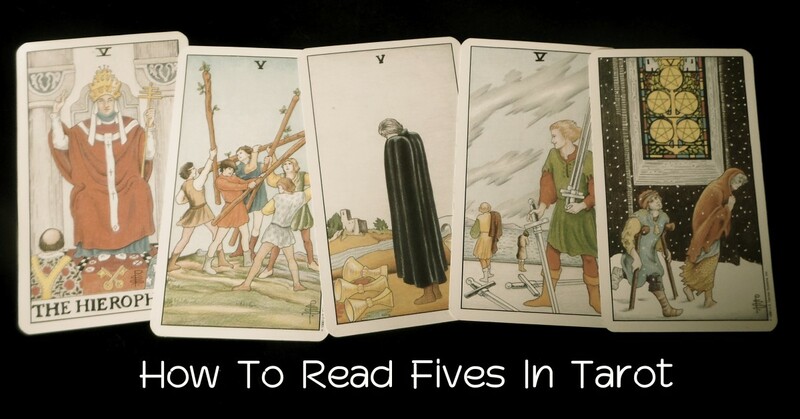 Teach yourself to read the tarot with this easy guide. The study of tarot is time consuming and you must be willing to commit to a learning schedule. These step-by-step suggestions may help you. 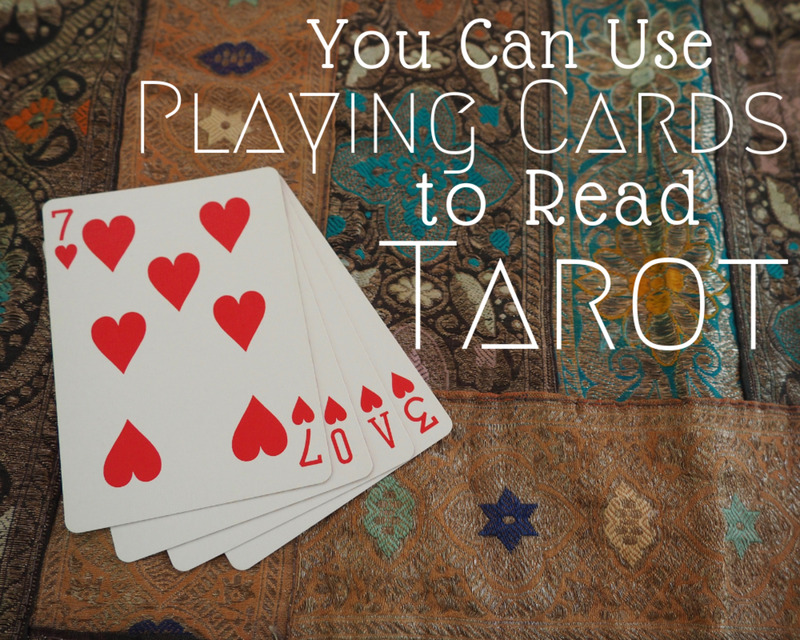 Many people read tarot cards, but not all of them read for clients. A reader needs to think about both ethical concerns and practical ones before reading for others. 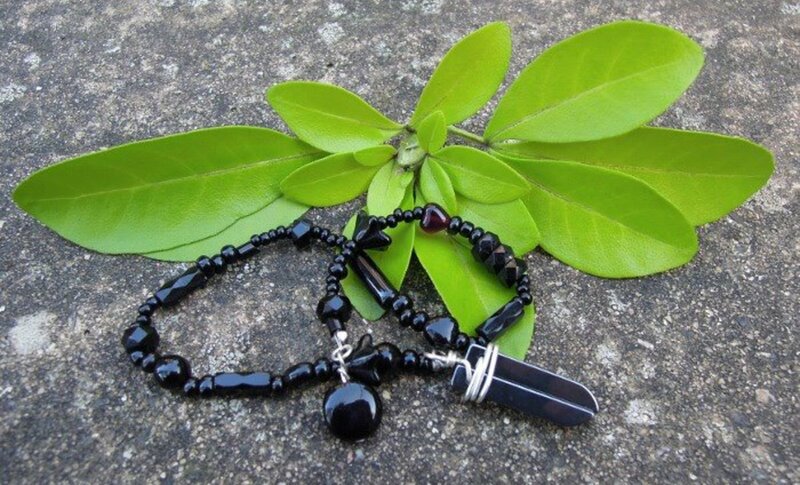 When a person is under the influence of Wands energies, it feels as if one can conquer the world! It's positive, fire energy, so use it wisely and see the growth in your life! 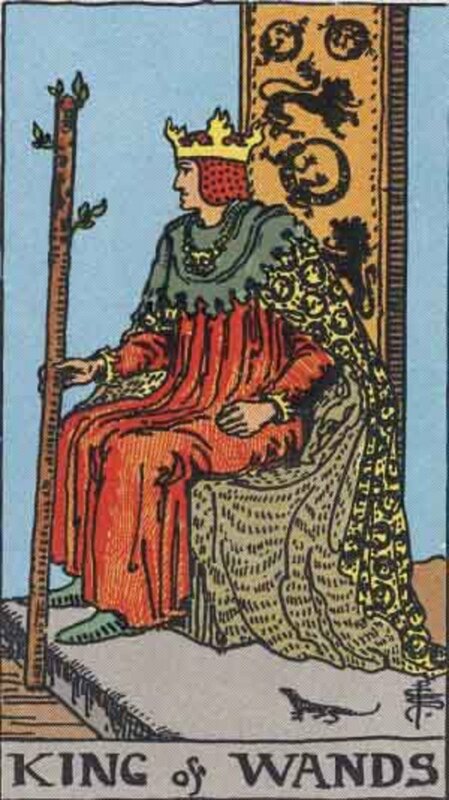 Say, "Hello" to the King of Wands. Check his mood first though! 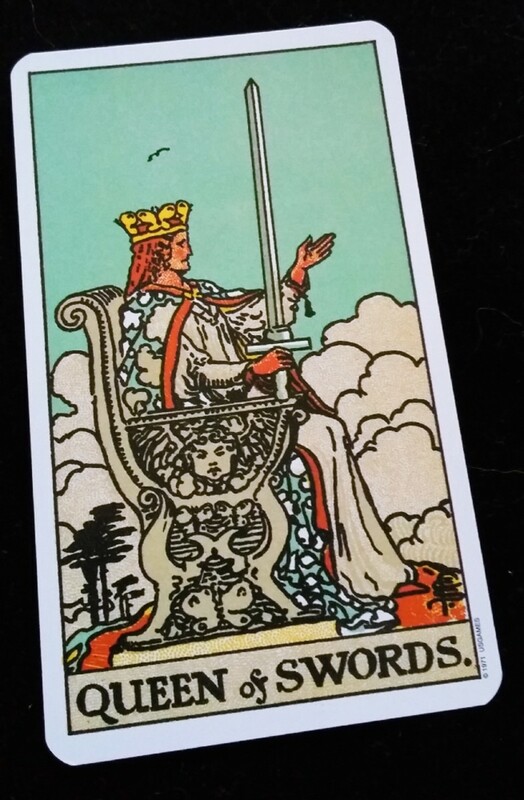 The King of Swords is an authoritarian, but what makes this personality tick? 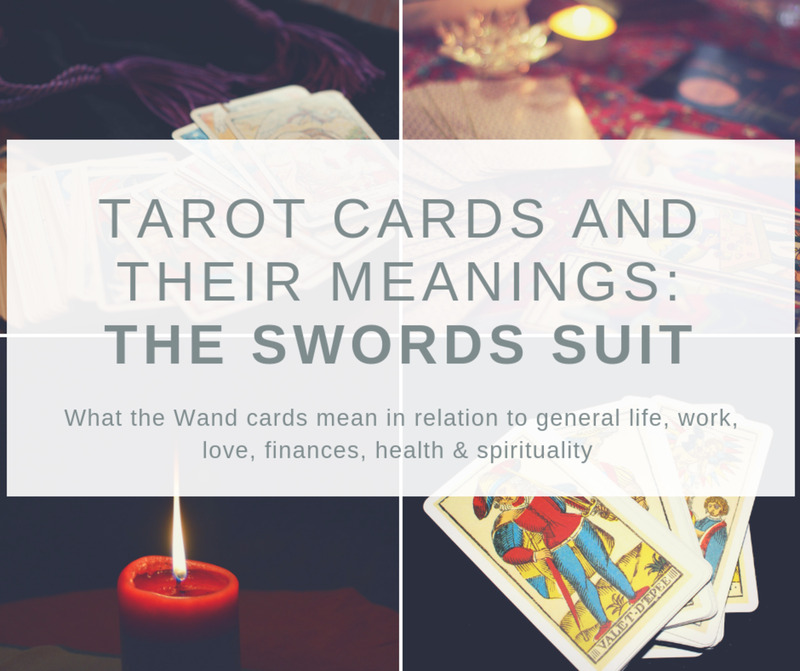 This guide will give an in-depth analysis of what each card in the Swords suit represents in the areas of general life, work, love, finances, health, and spirituality. 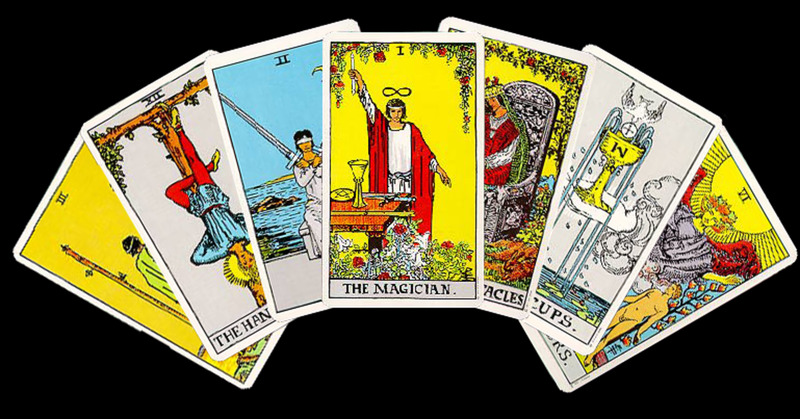 Tarot readings are as accurate as they can possibly be given all the various factors that can influence and interfere with them. 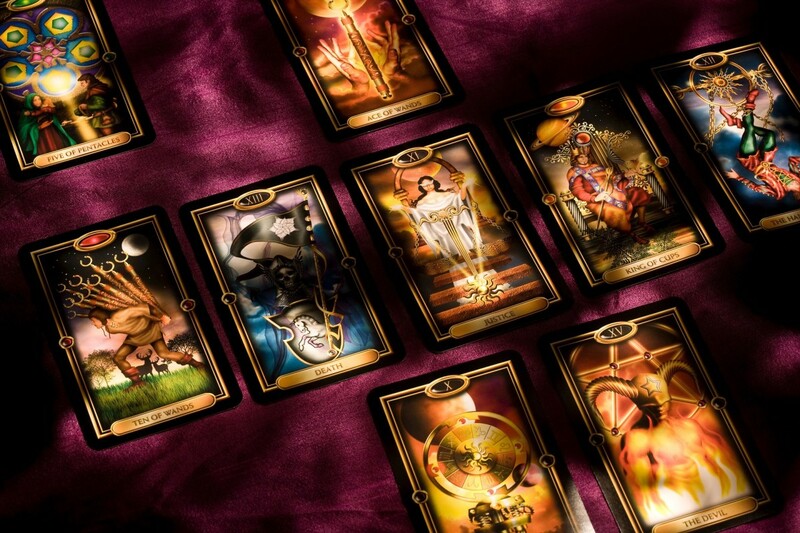 Find out why tarot card interpretations can vary. Meet the feisty Page of Swords—active, questing, and often quite snarky! 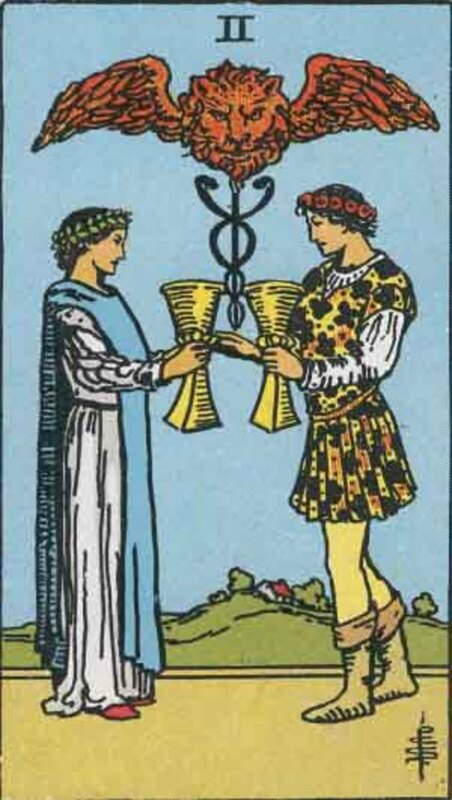 Meet the Page of Cups, messenger of lurve! 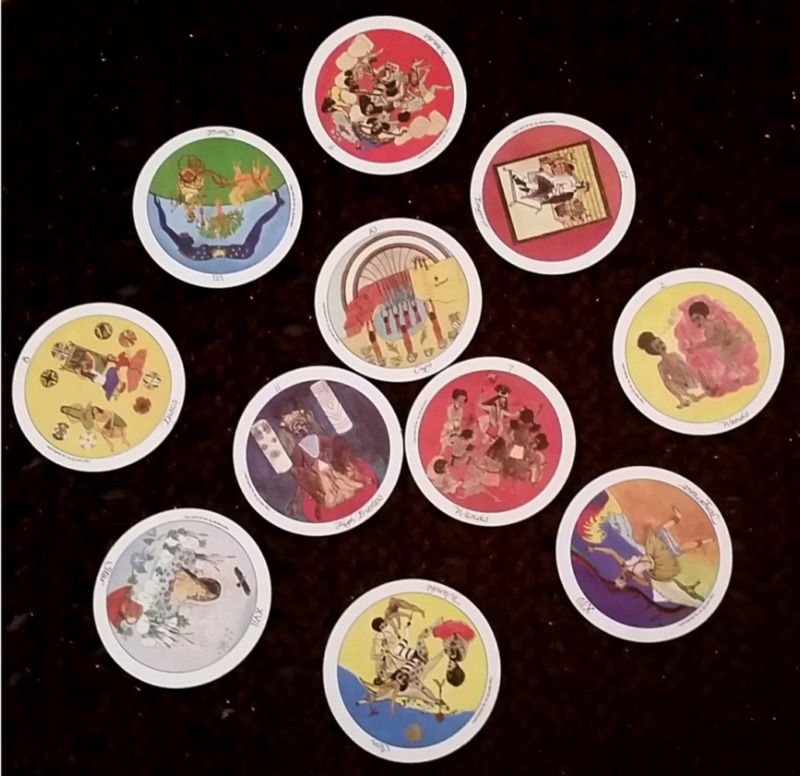 You may have seen them appearing on websites recently, but what is a tarotscope? 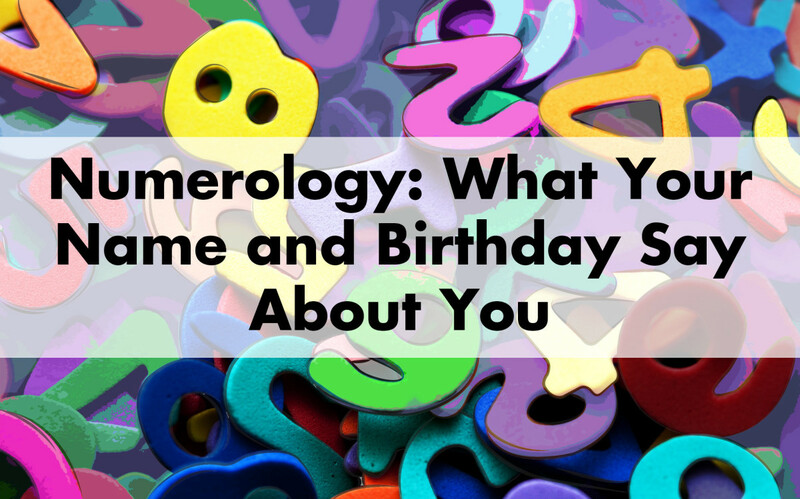 In this article, you'll find an explanation plus your own tarotscope reading. Learn the most effective ways to clear your oracle cards using white sage, clear quartz, a pendulum, sunlight, and moonlight. 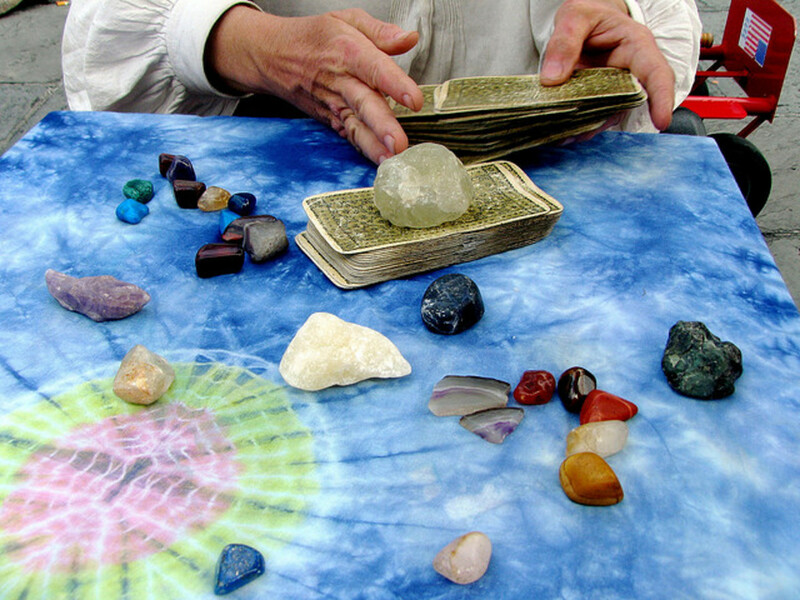 Clearing your oracle cards is important for accurate readings. 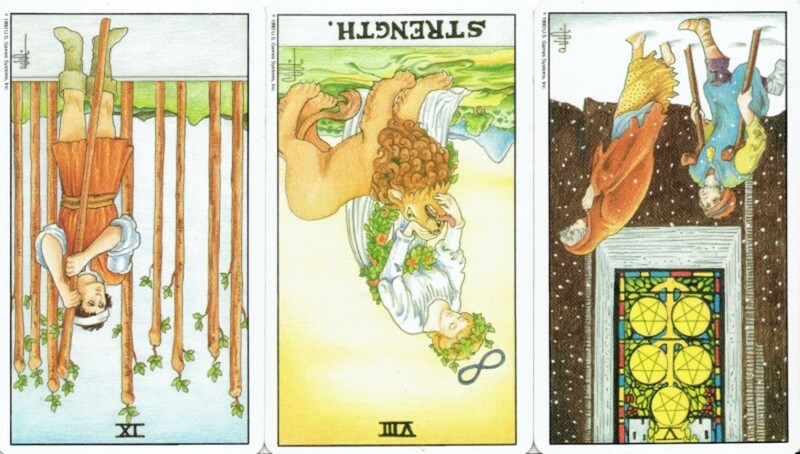 Reversals in tarot are complex and often confusing. 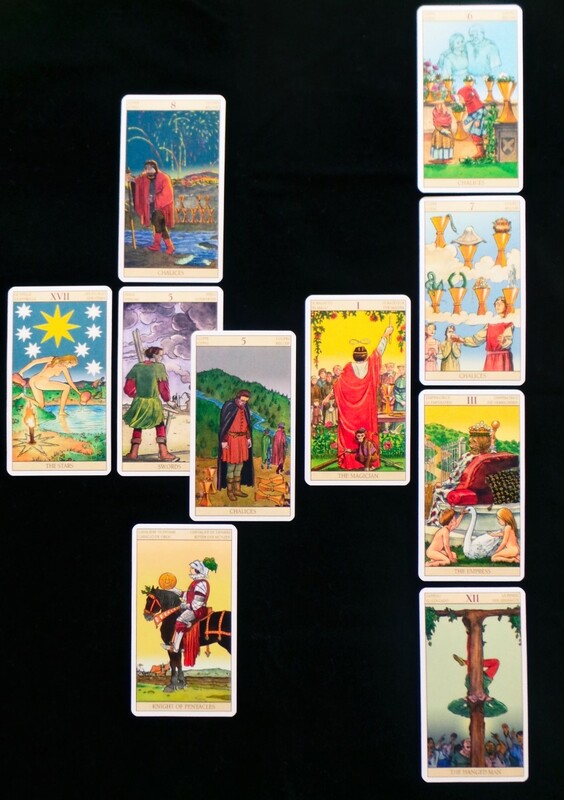 Here's a clear explanation and guide based on the Rider-Waite Tarot. 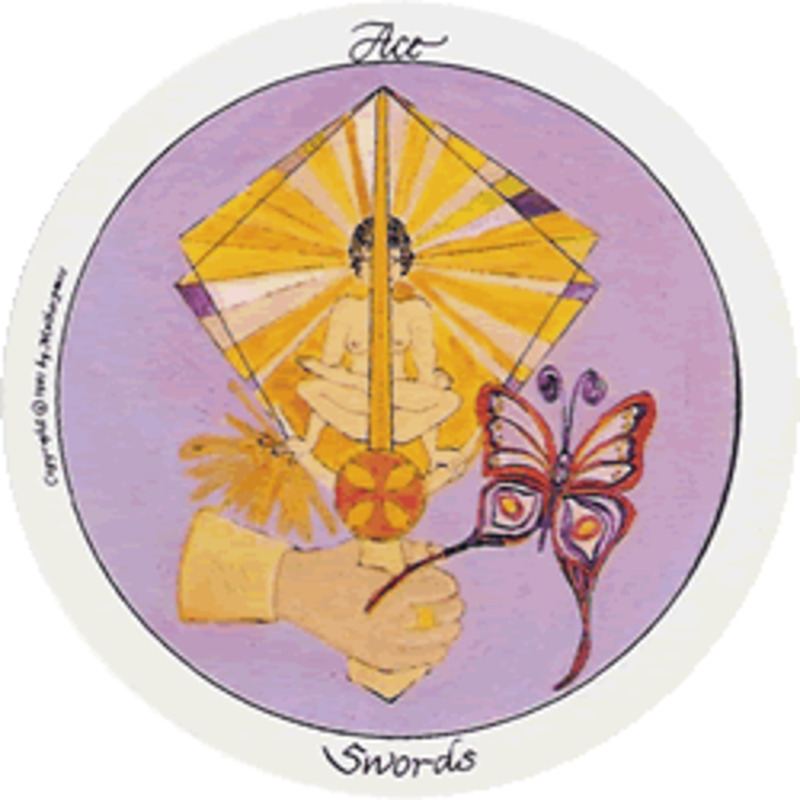 The Queen of Swords - what is she like as a lover, mother, wife or best friend? 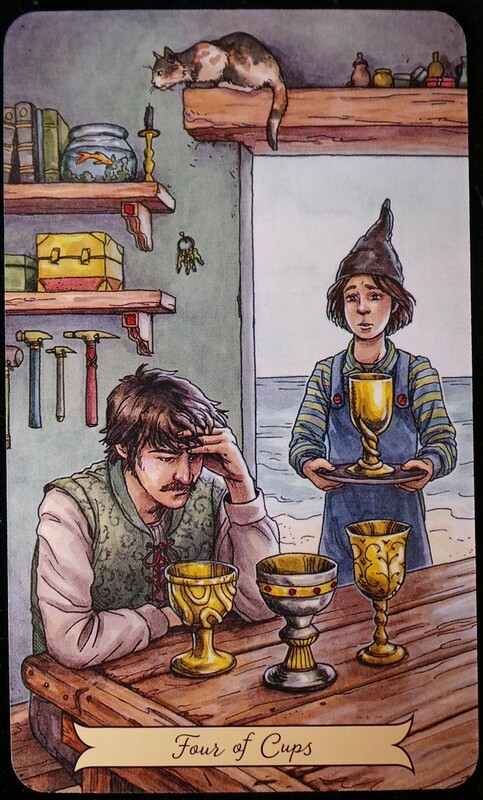 A lighthearted look at tarot using the Motherpeace deck. When approached with an open mind, the cards laid and how you interpret them will help you gain clarity in your personal journey. 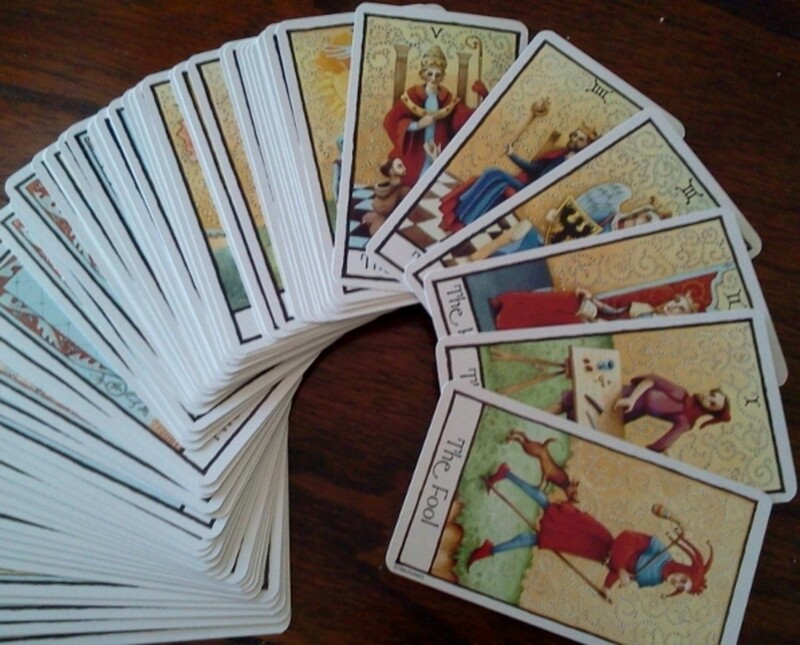 As you improve as a tarot reader, you will develop your own way of laying down the cards. This article explains why spreads (layouts) are helpful in readings. 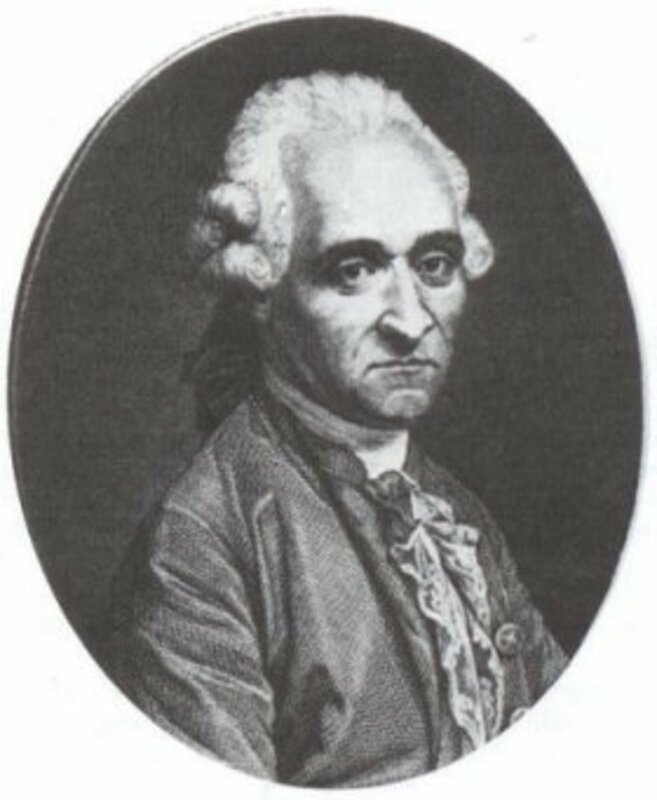 Prophet Nostradamus foresaw the rise and fall of a great leader he called the "trumpet." 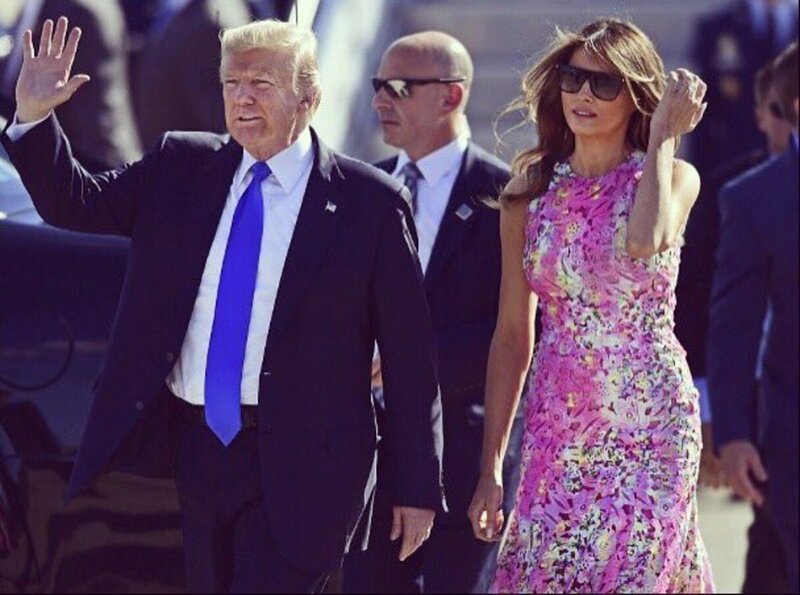 Some say he meant President Donald Trump. If so, his next home is Asia. 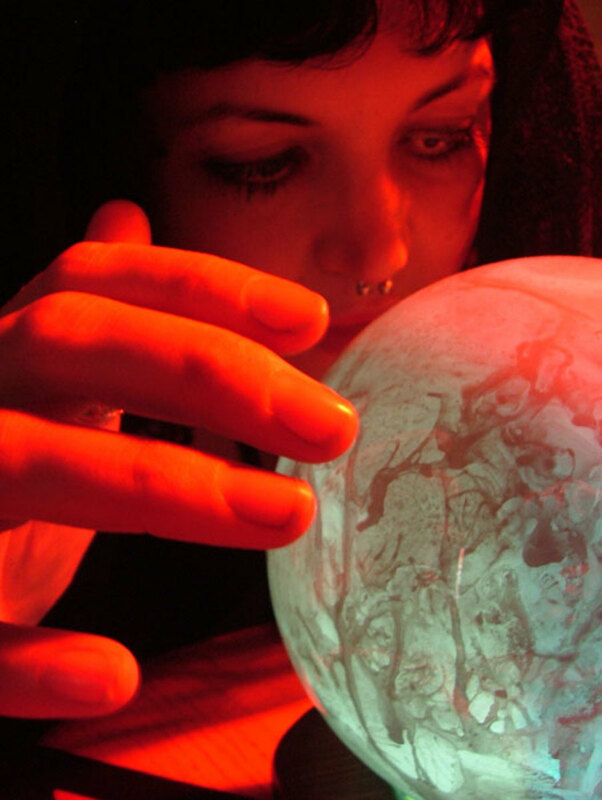 Sylvia Sky investigates the prophecies. 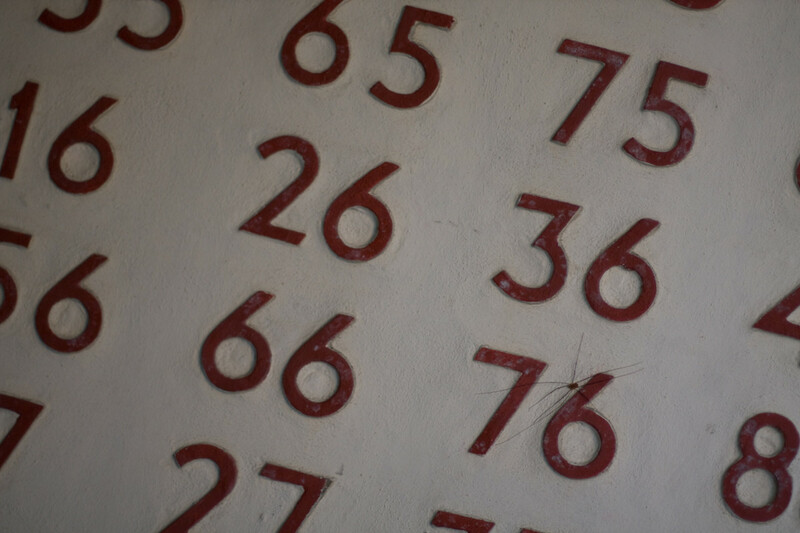 The problematic and challenging fives. 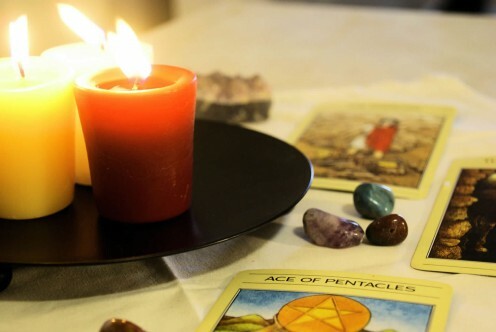 If you've ever been tempted to try a tarot reading with playing cards, you've probably wondered how to lay them out and how to do a reading—this article is for you. 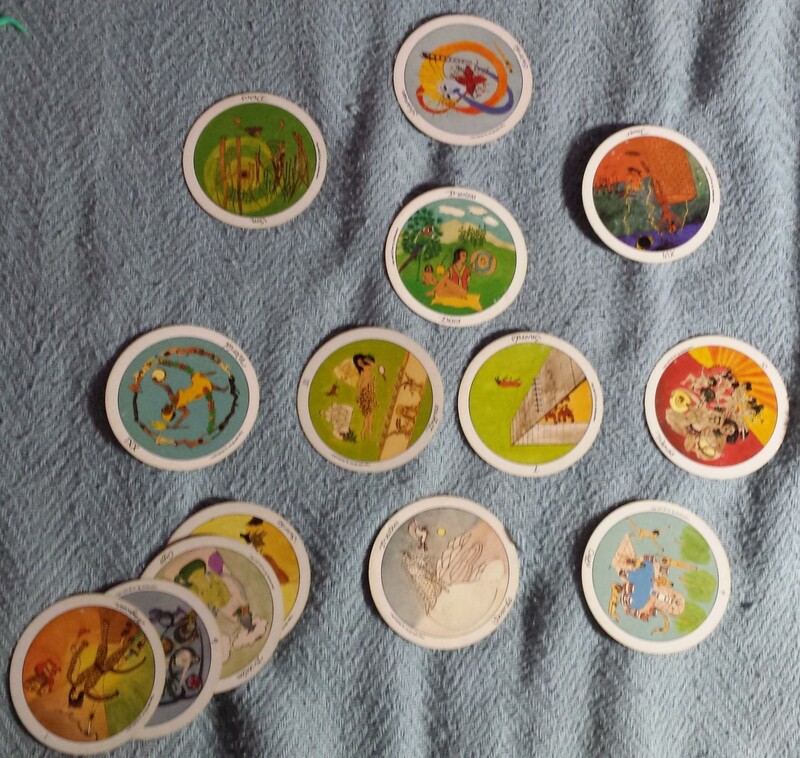 Quick one-card tarot readings for answers to your money and prosperity questions. Grab your deck, shuffle and draw a card. 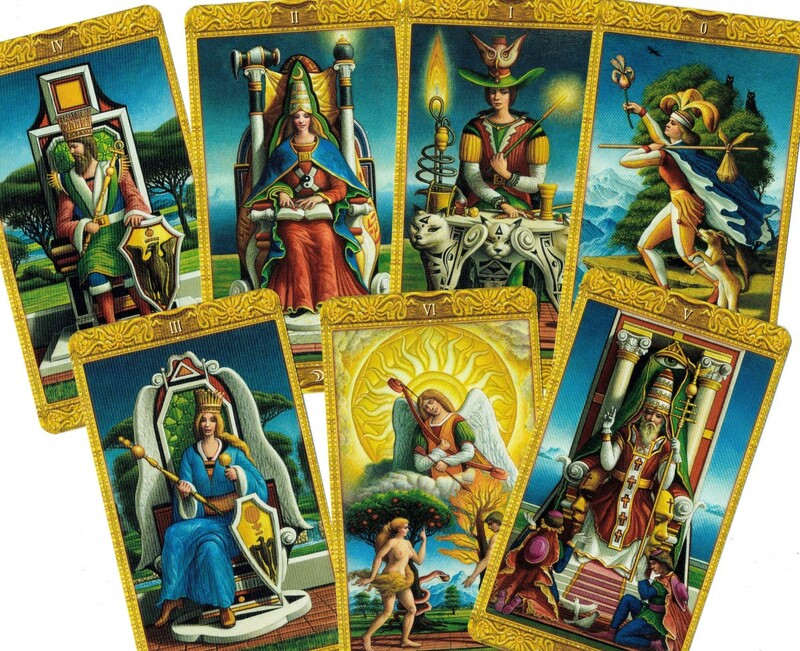 Discover your tarot significator using the attributes of the court cards and zodiac correspondences. 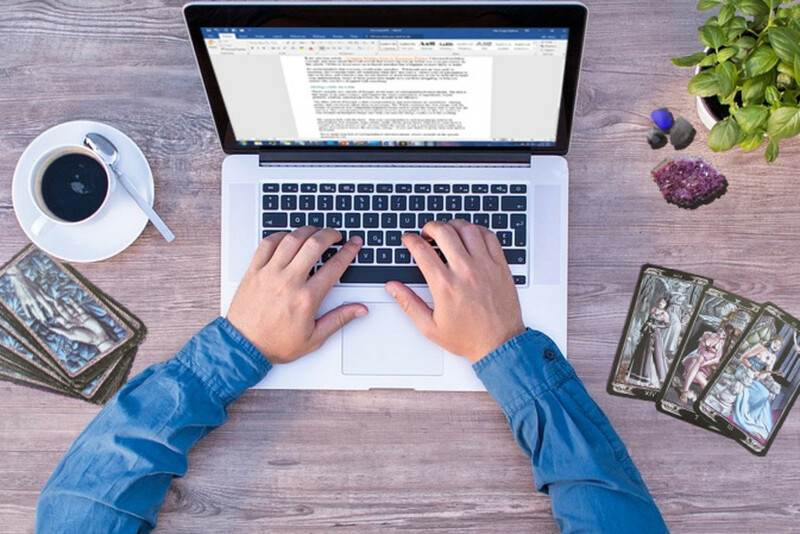 Automatic Writing is a process of writing when the writer isn't in complete control of the words that flow through their pen or through the keys of their keyboard. Also known as Psycography and Spirit Writing, it is a practice that opens the mind to higher forces. An in-depth examination of what makes this complex character tick. 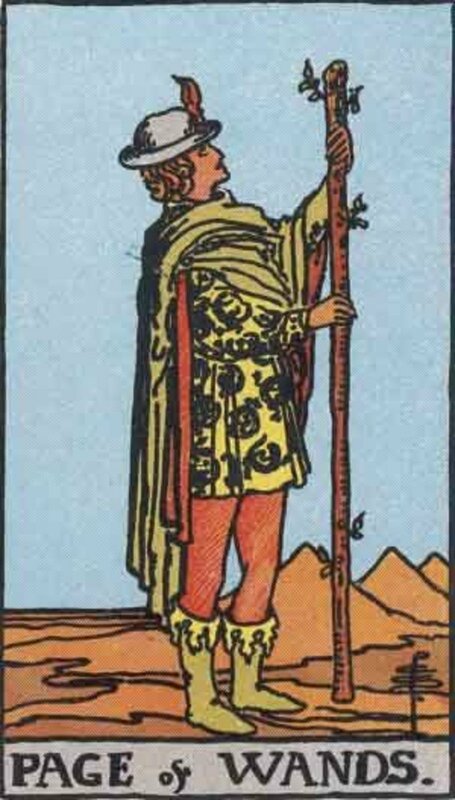 The tarot cards in the second line of the Major Arcana are the most difficult choices and circumstances you will face in the course of life. Try to choose your actions wisely! 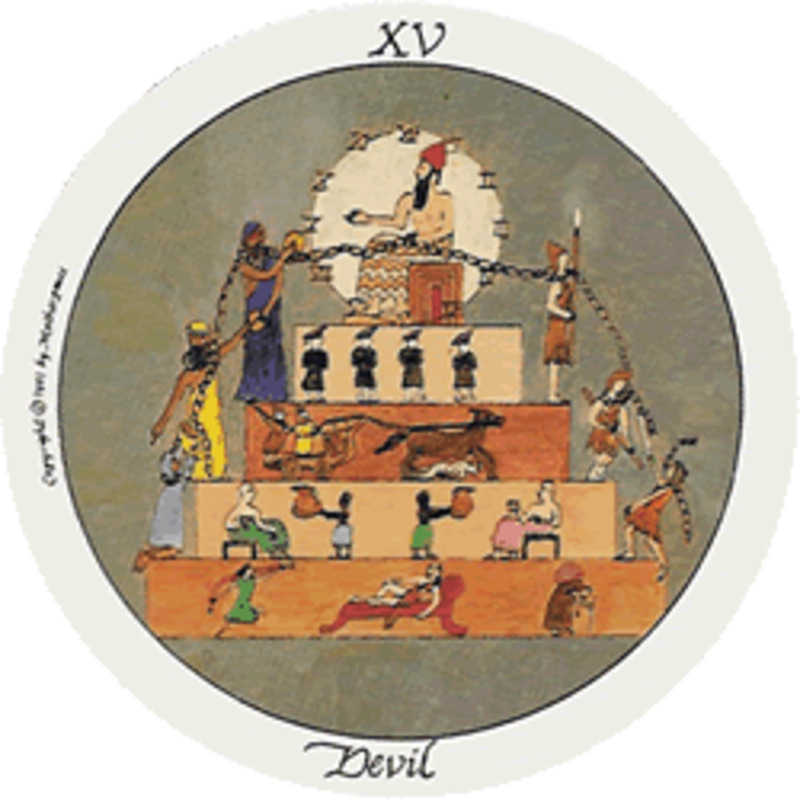 Are you dancing the tangle of the Tarot Lovers and Devil? Has love been a painful journey. Learn how to get out of this merry-go-round and heal yourself. 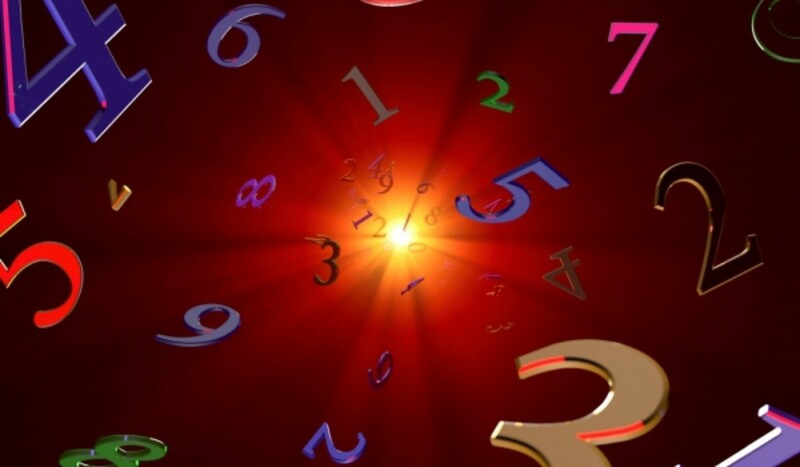 Spells are simply a way of manipulating energy to attain your desired result. 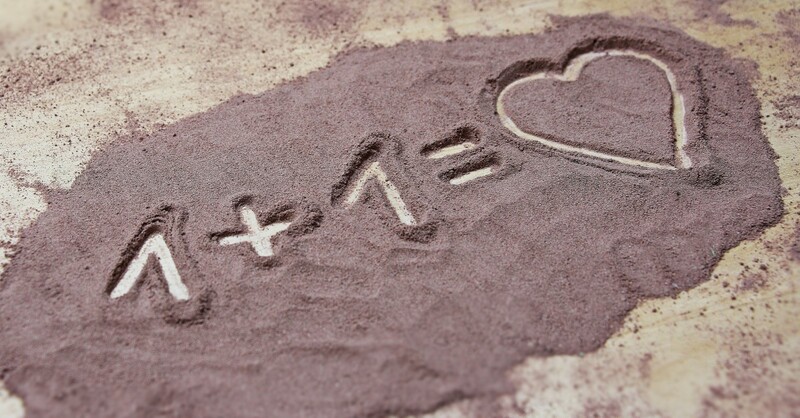 Here is a simple tarot love spell to bring romantic love into your life. 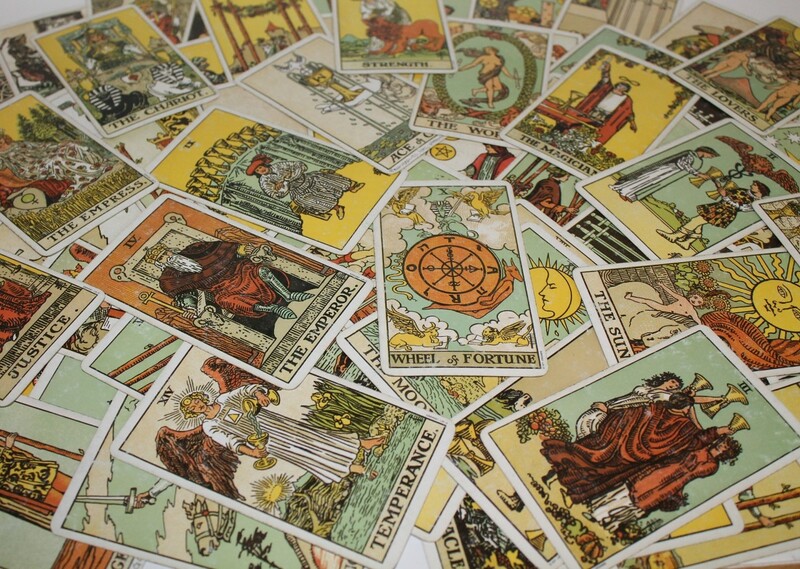 Although many people have heard of Tarot Cards, many still associate them with Spiritualism or Black Magic! The Tarot can be a very useful tool for self reflection. These are questions I get asked all the time. 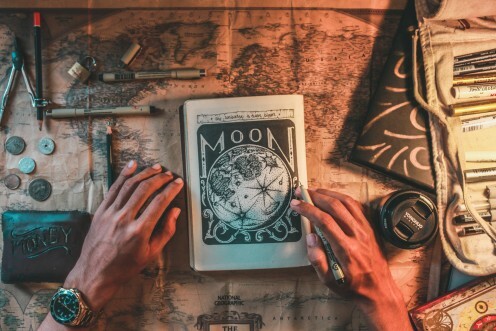 If you can't find the answer to your tarot-related question, then please ask in the comments section. 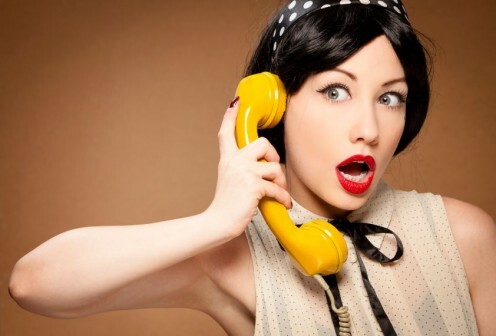 Is your lover cheating on you? Find out with these two 'is he cheating?' 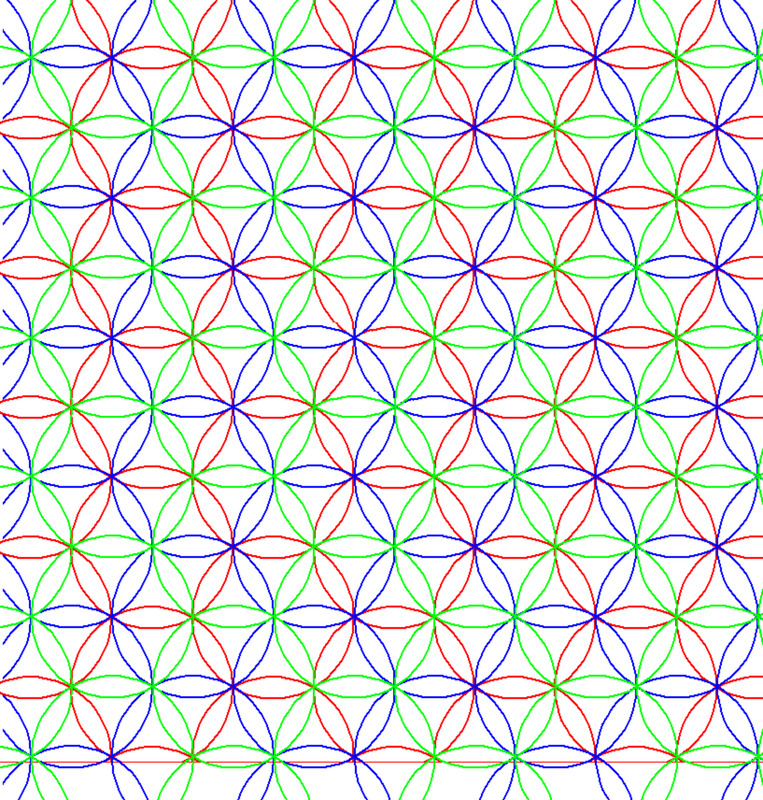 tarot spreads. 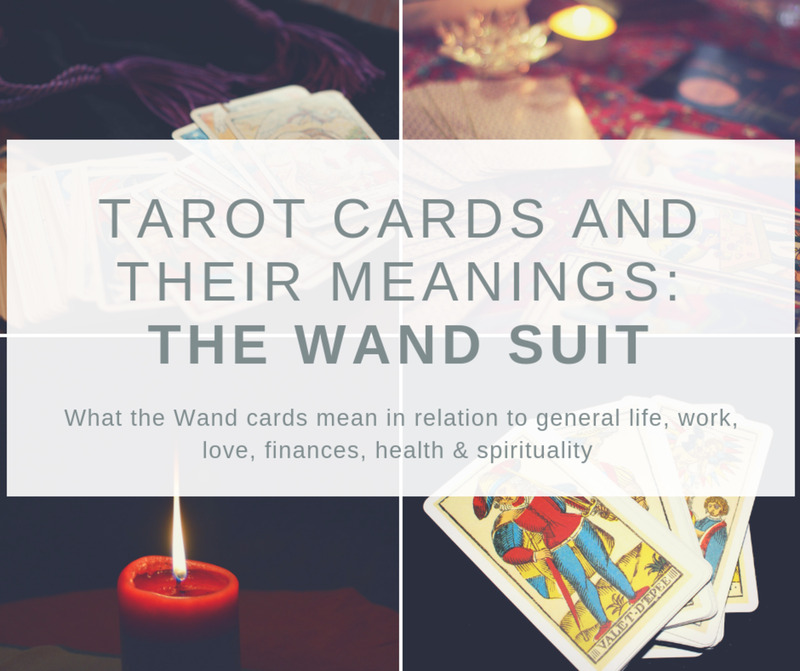 This guide will give an in-depth analysis of what each card in the wand suit represents in the areas of general life, work, love, finances, health, and spirituality. Whether it is your birthday or you just need to clear you mind, you'll find exactly the tarot spread for you! 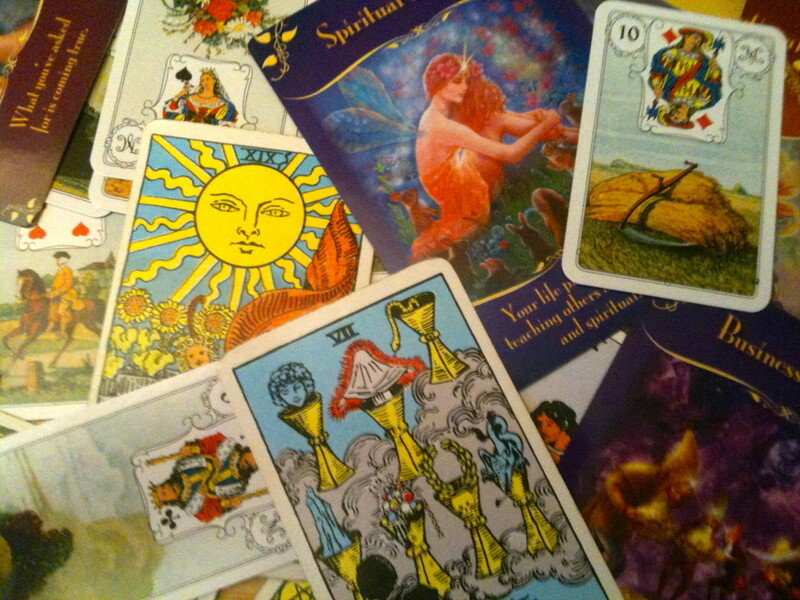 Tarot cards are not just great for divination; they're a great tool to help foster your creativity and inspire you. 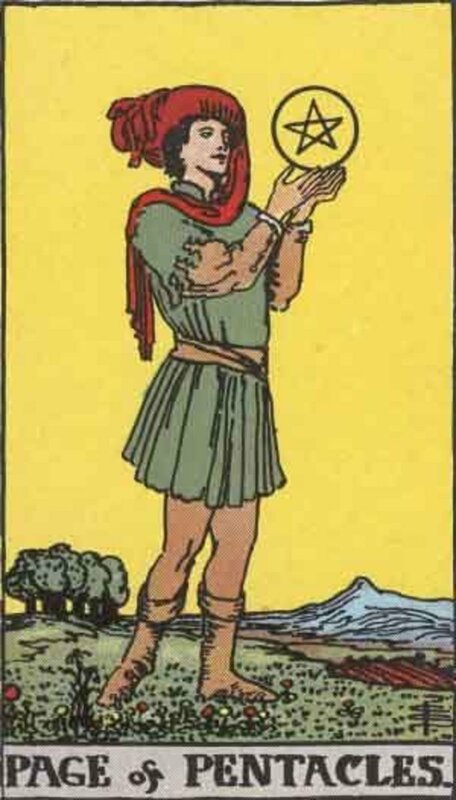 Writers can especially find tarot cards helpful when they struggle with blocks. 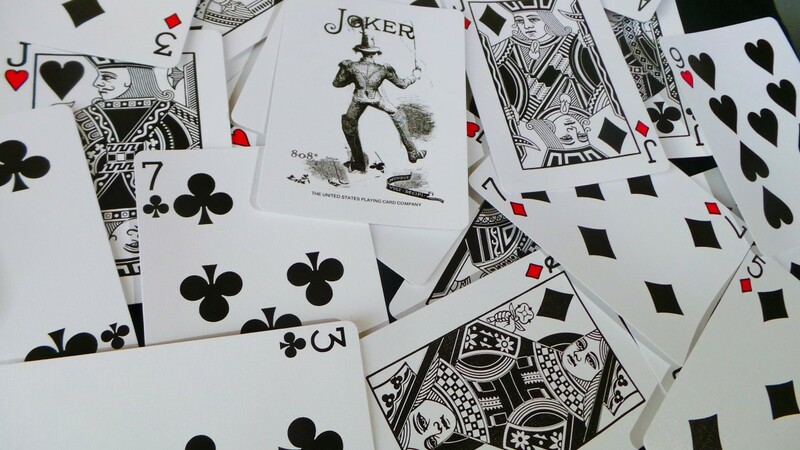 Whether you're new or experienced and looking for a card deck with a healthy dose of realism (no unicorns), check out these options. The Celtic Cross is one of the most widely used tarot spreads. 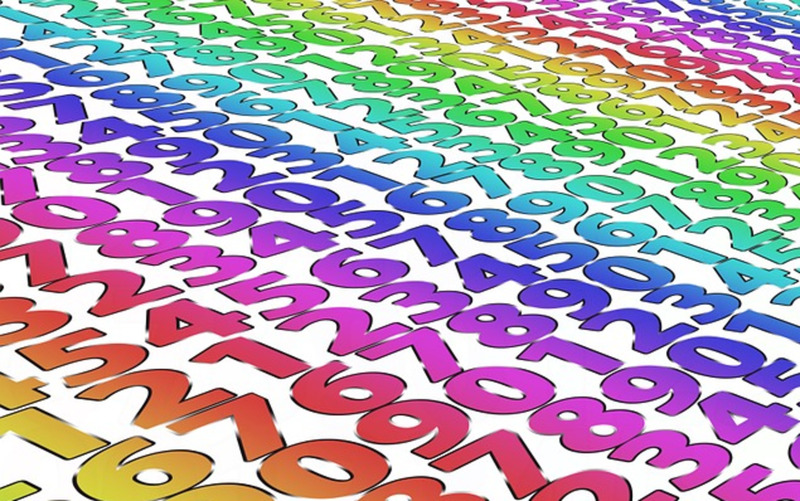 It is also one of the most complicated and is worth taking the time to study. 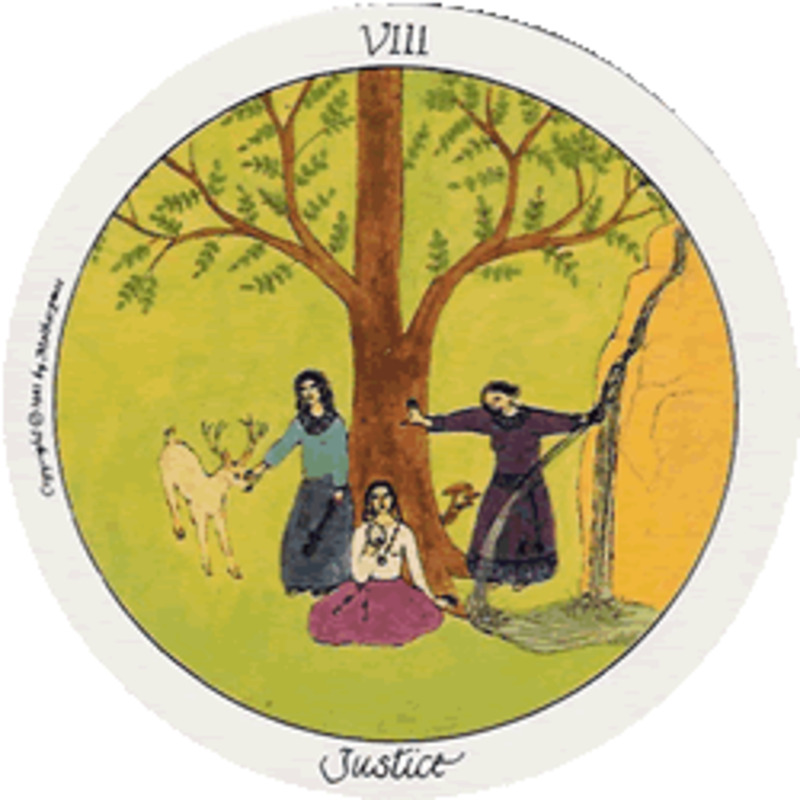 Motherpeace had the honor of being not only the first round tarot deck, but a feminist one with pictures drawn by women, to create a more heart-centered deck and interpretation. 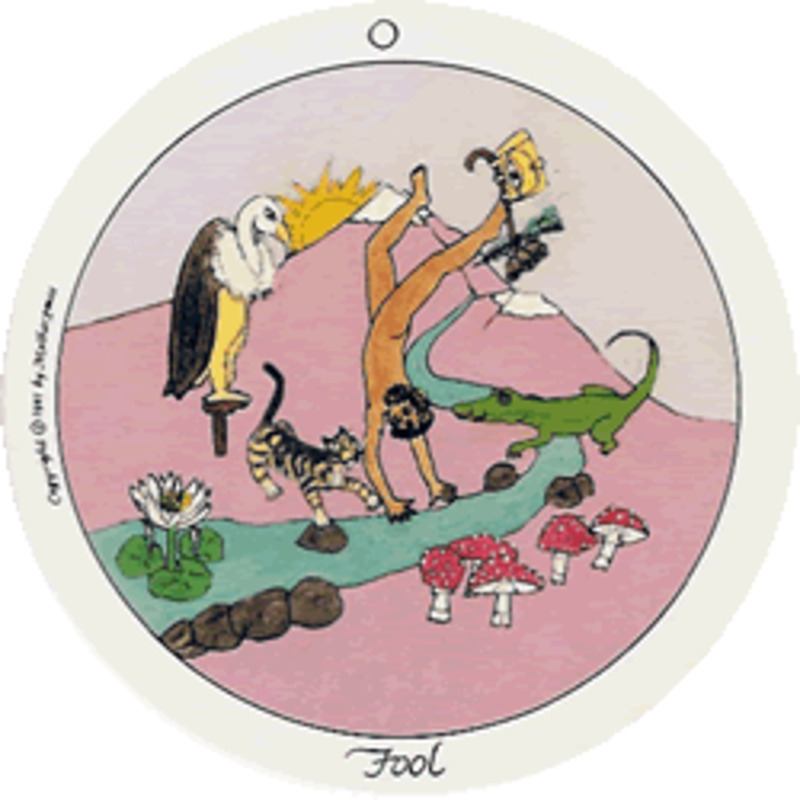 Tarot is an ancient system of wisdom. 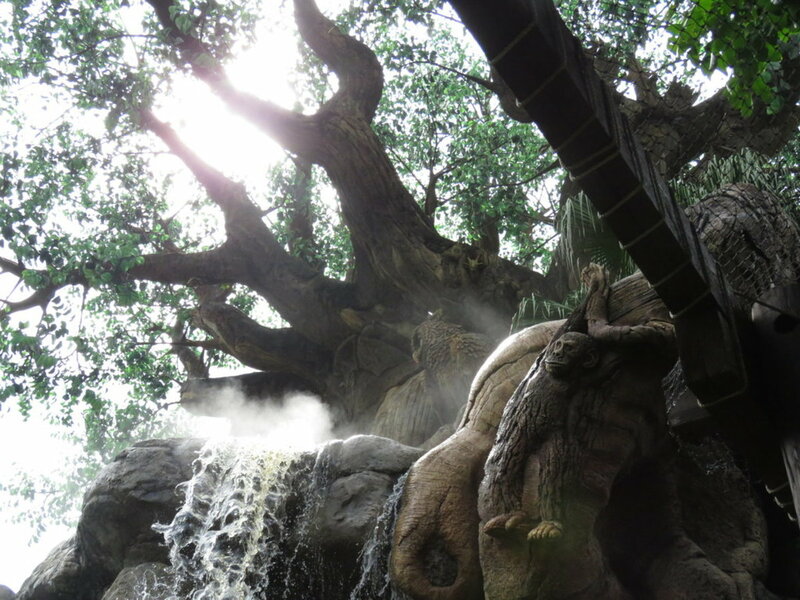 Its origin is shrouded in the mists of time, but it has universal meaning that speaks to all eras and cultures. 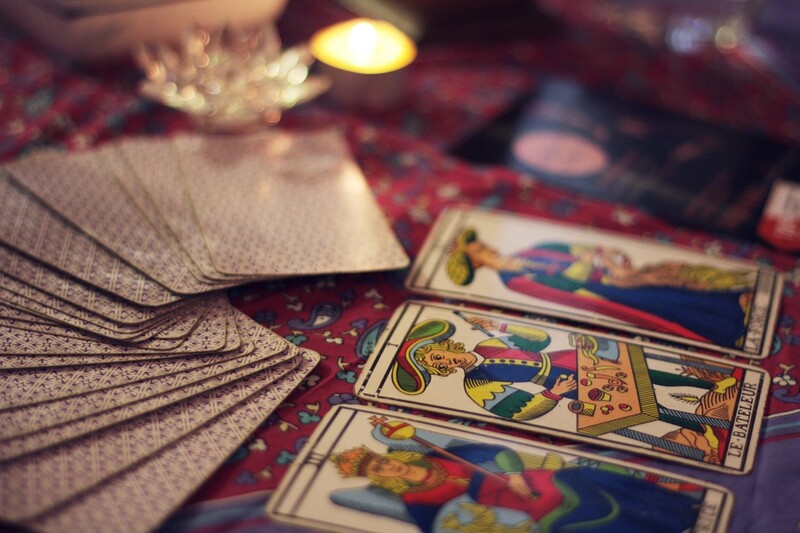 A reading from a great tarot reader is a memorable experience. On the flip side, an inept or fake card thrower can ruin anyone's opinion of the trade. Here's how to tell the difference. 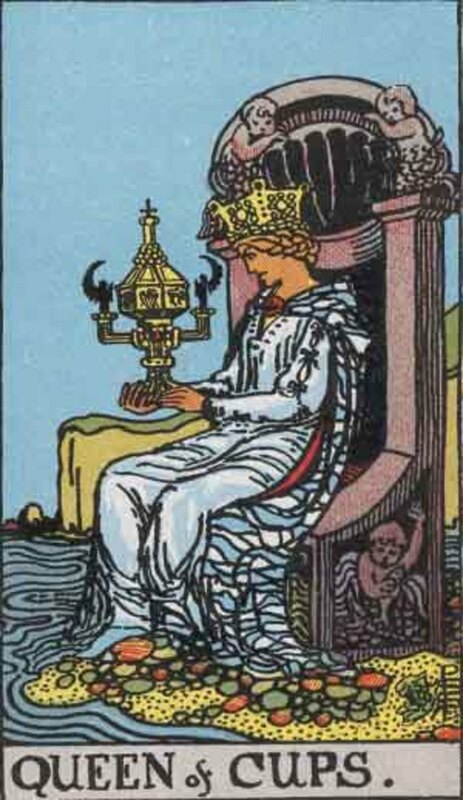 The image is written into our popular culture - the old lady with a great deal of silver jewelry turns mysterious cards over one by one. 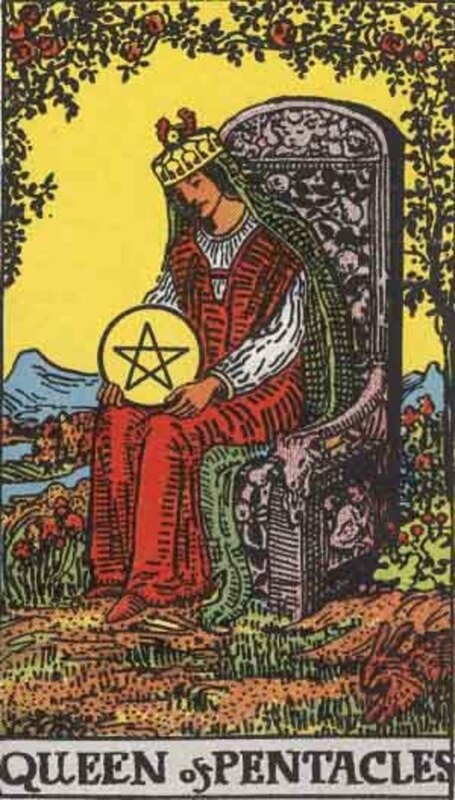 With these strange cards she sees what is in store for the person for whom she is reading. 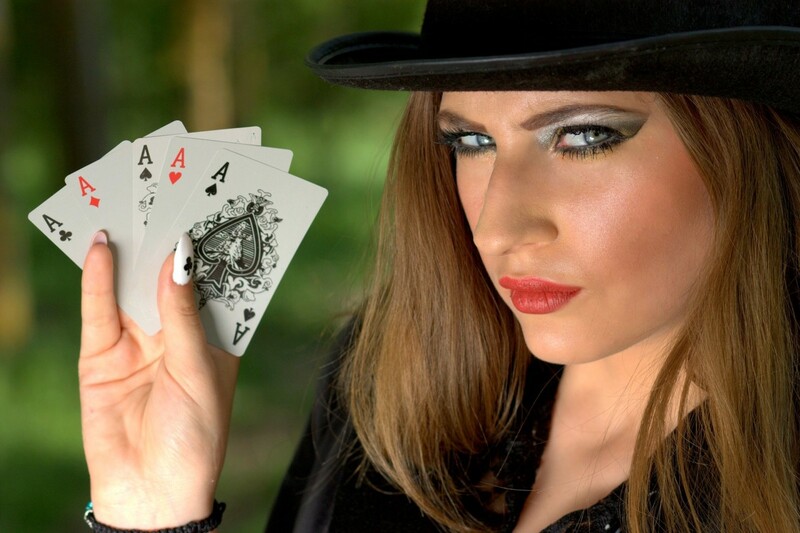 Following is a very brief overview of different methods of cartomancy. 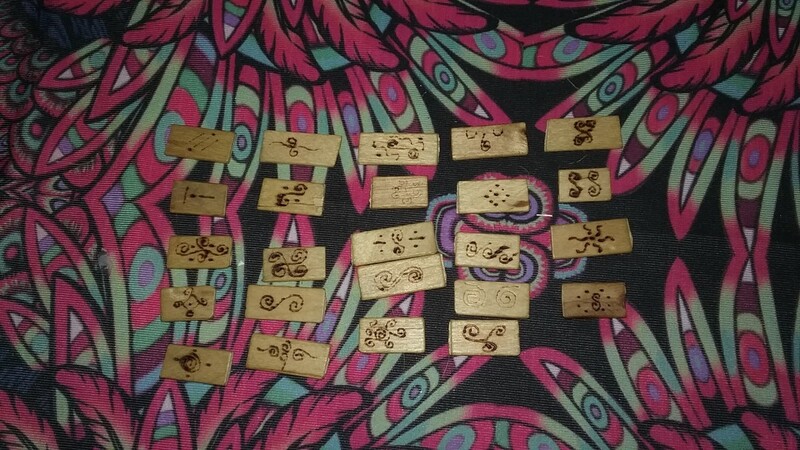 Looking for tarot spreads for love? Here are three quick and easy three-card layouts you can use for your relationship questions. Fortune Tellers have been around for a long time, but not all of them can really see into your future. Here's how to check which one is really telling you the truth. Don't part with your money unless you are sure. A quick reference to the tarot meanings of regular playing cards. Feel free to submit your questions.